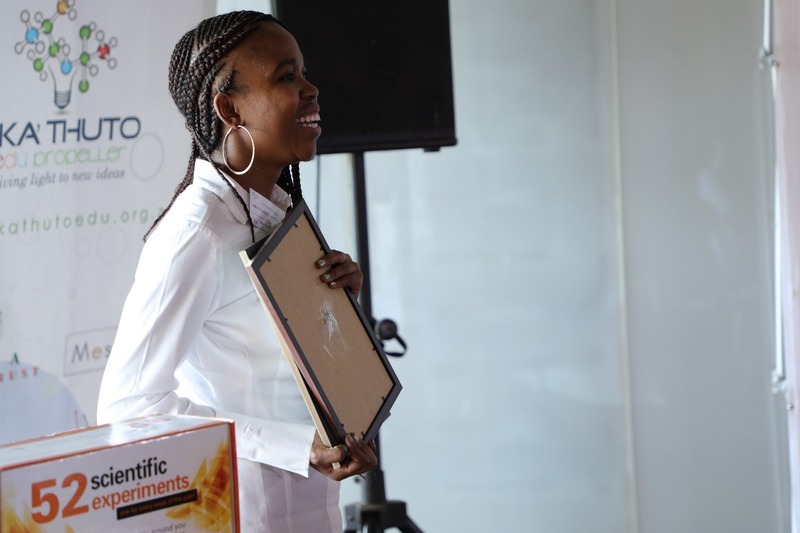 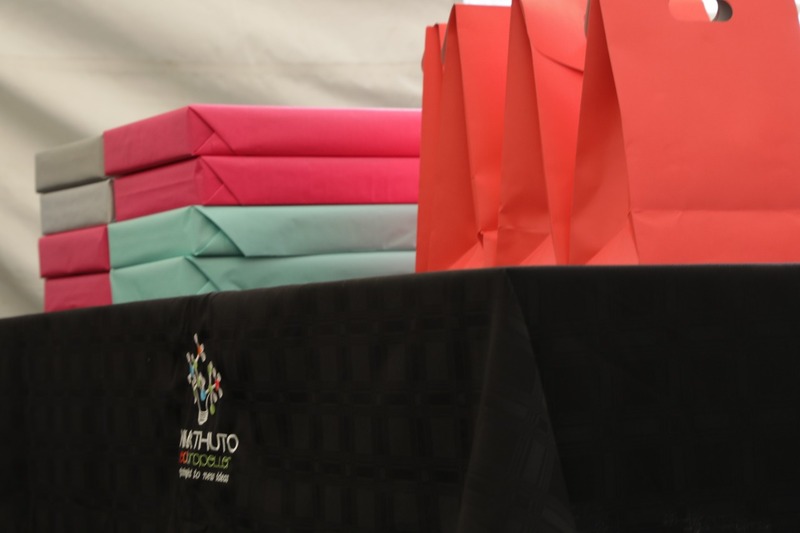 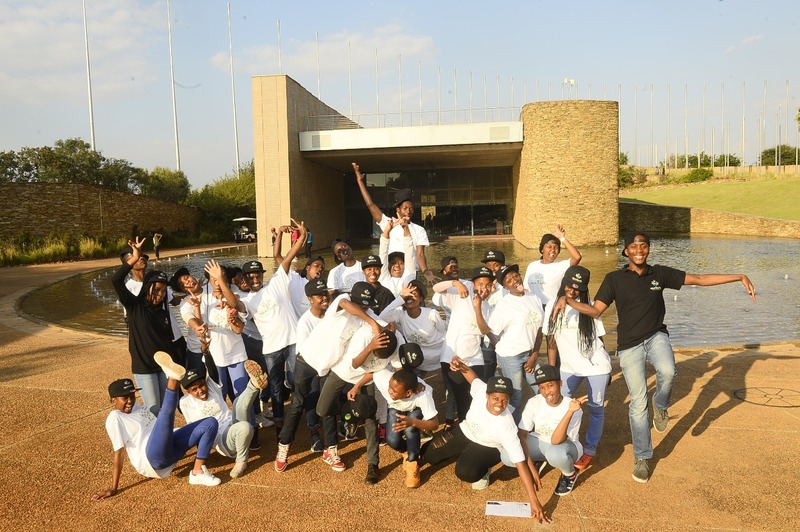 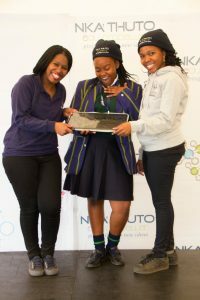 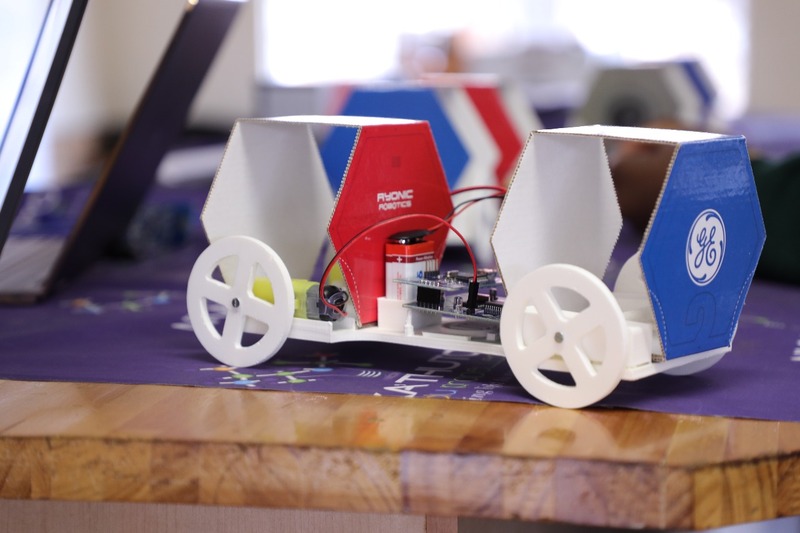 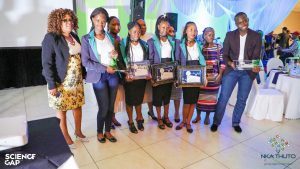 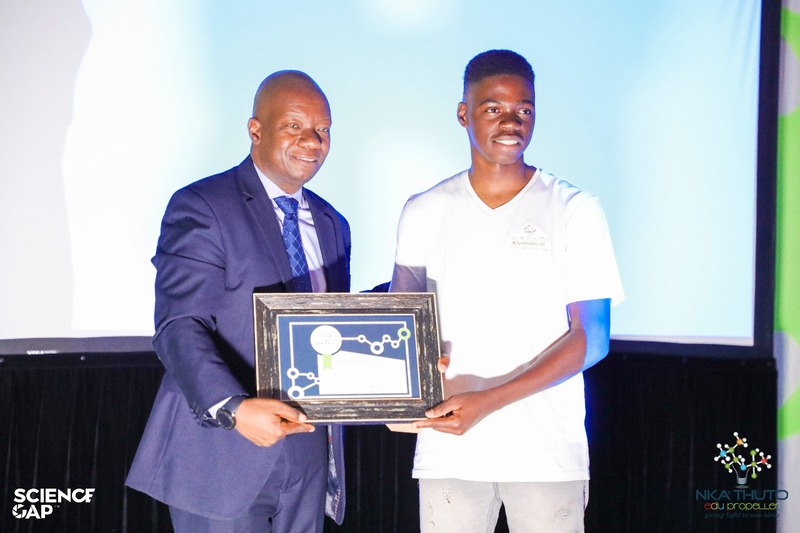 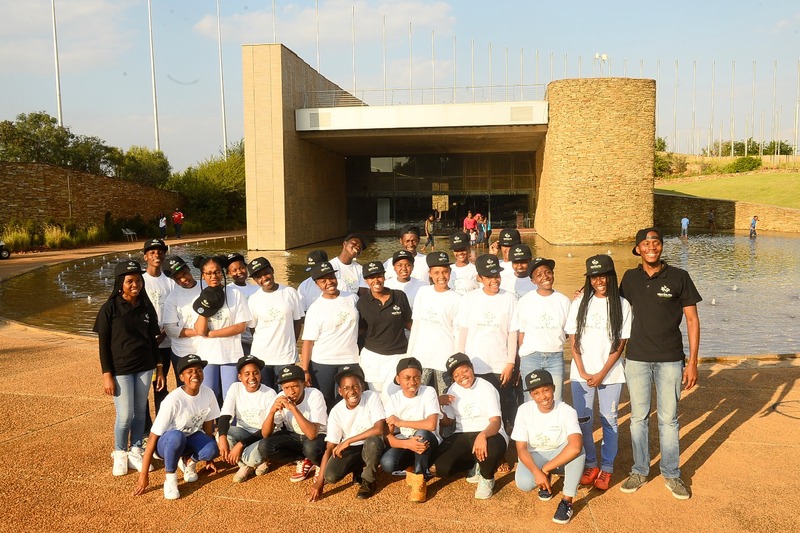 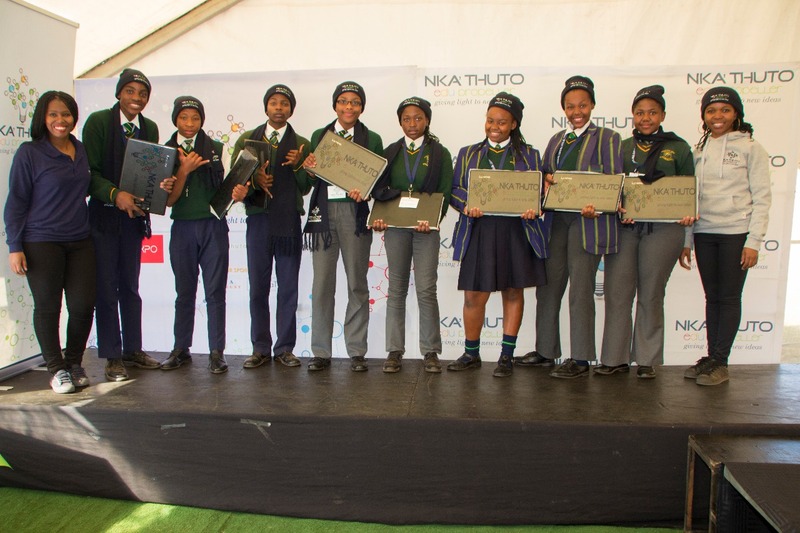 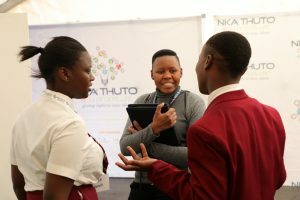 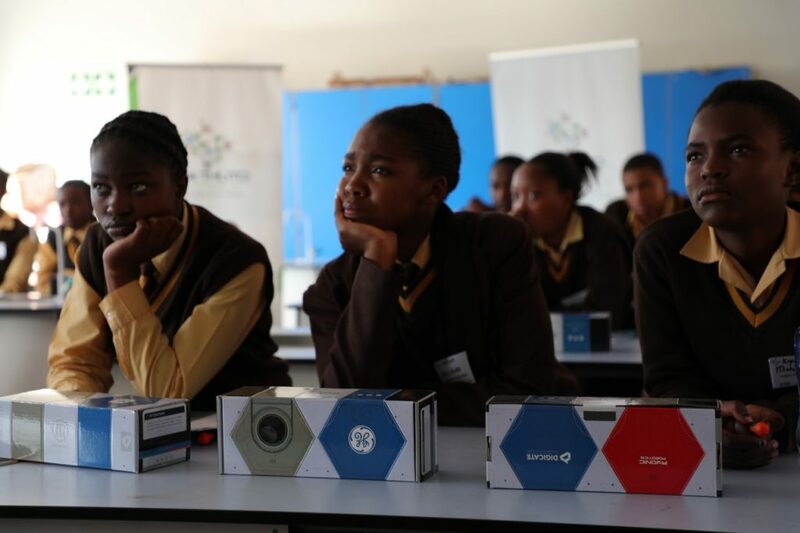 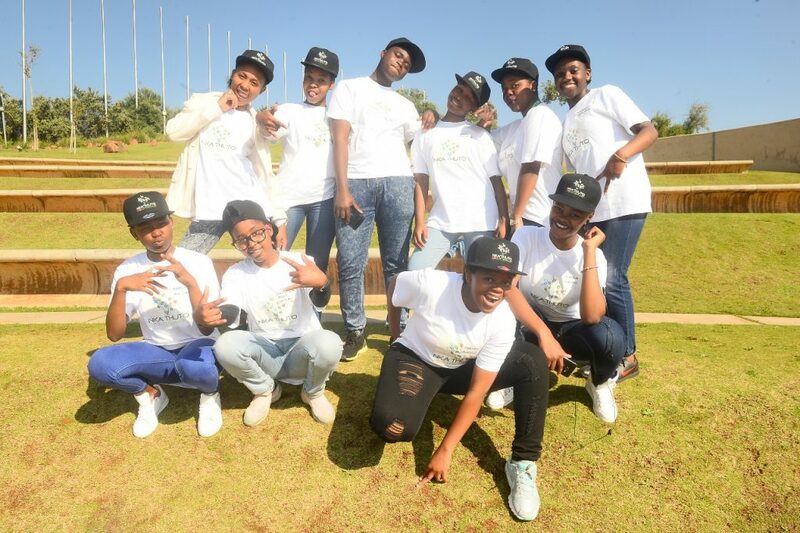 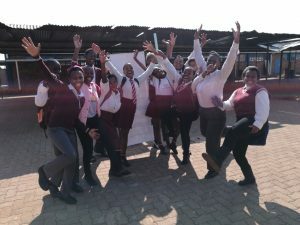 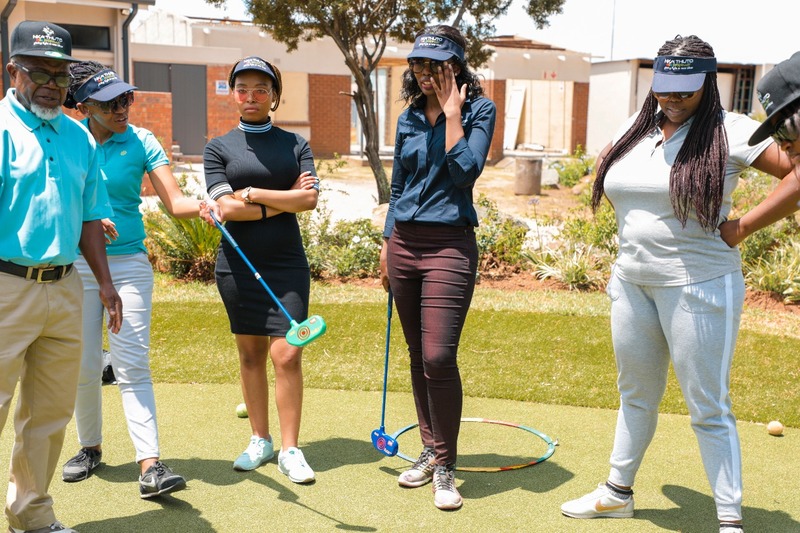 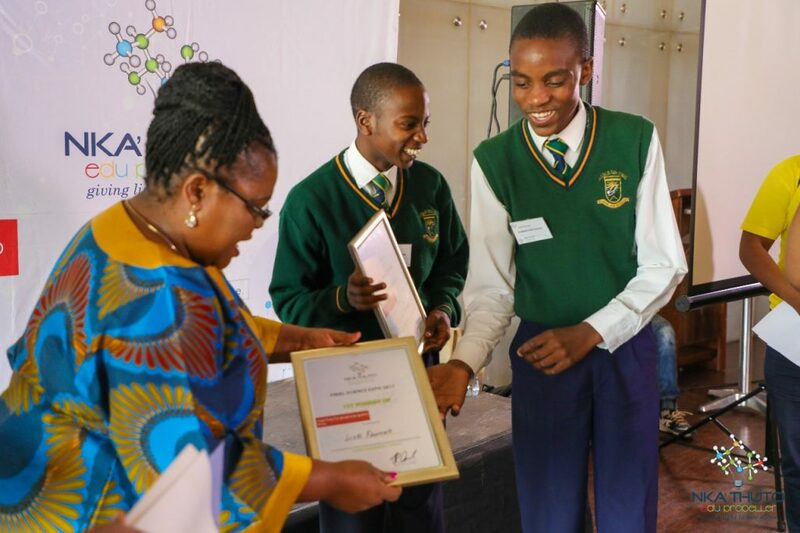 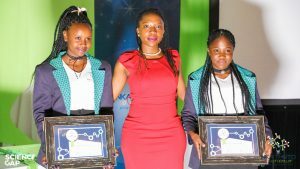 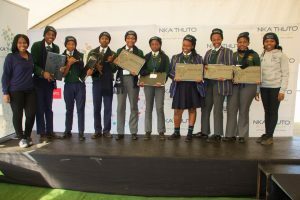 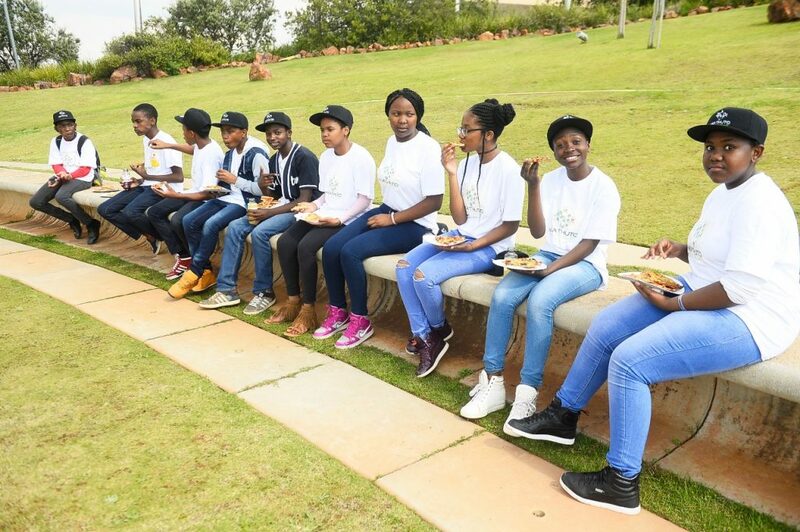 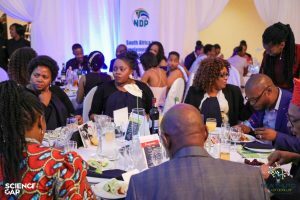 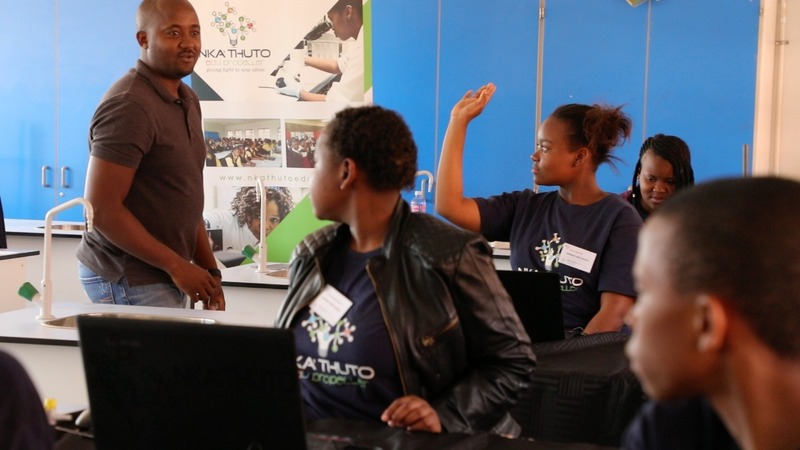 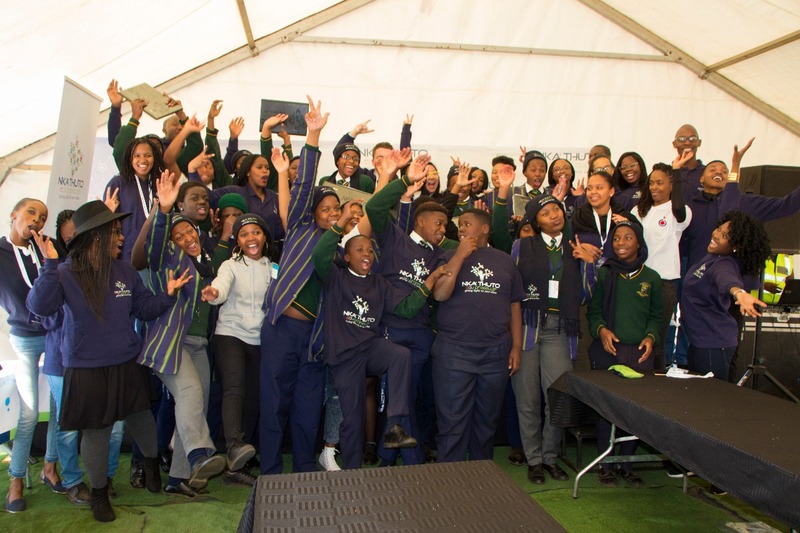 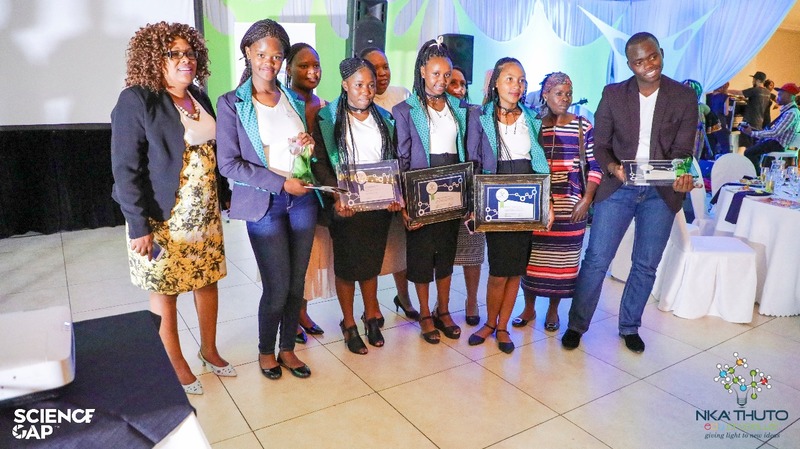 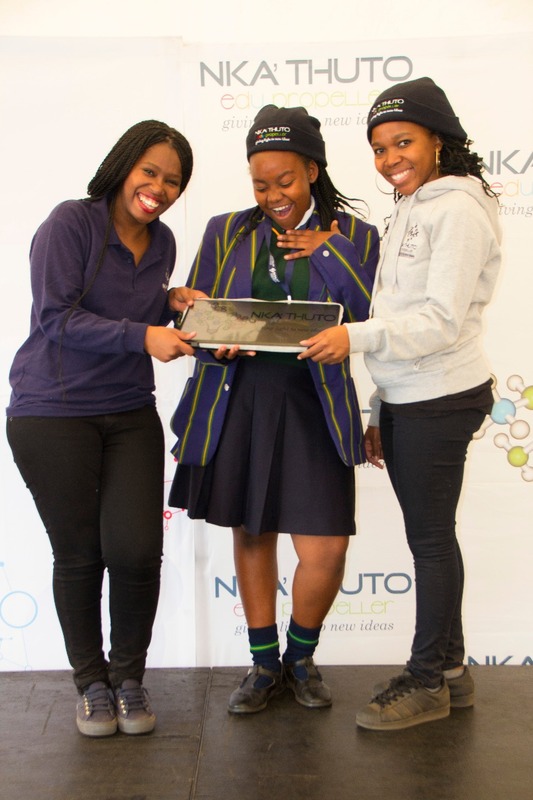 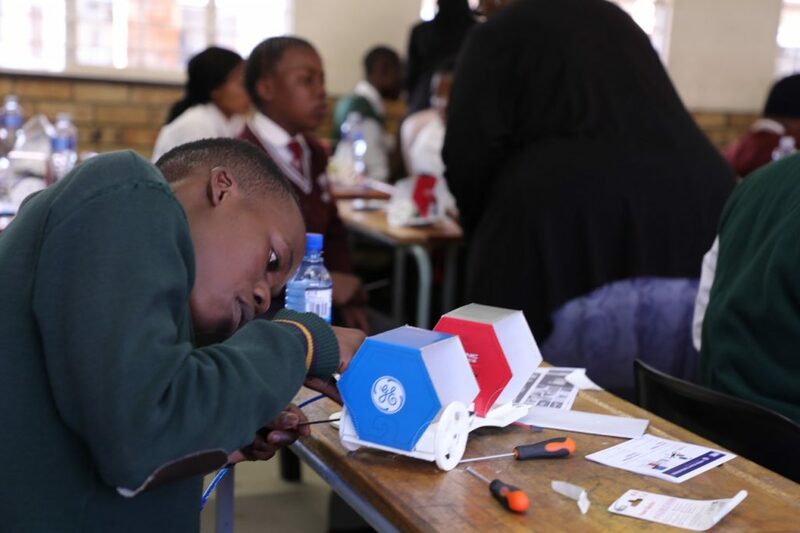 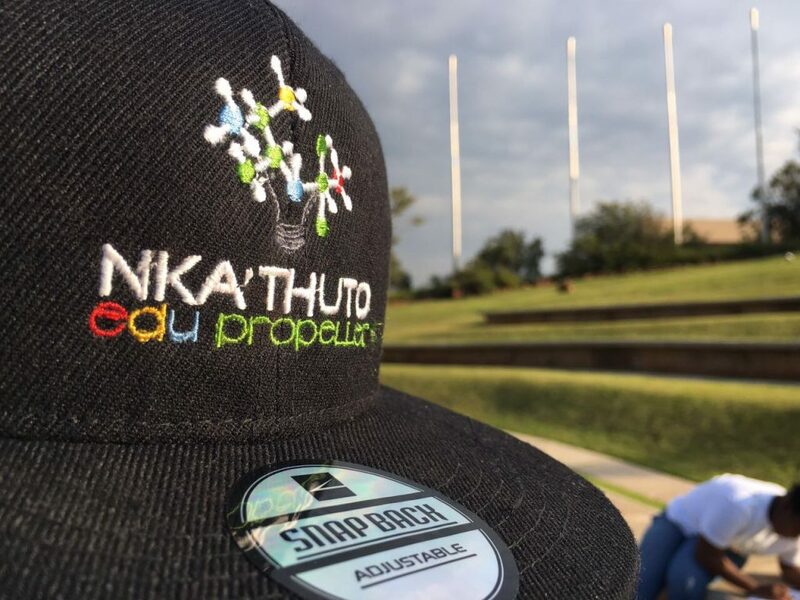 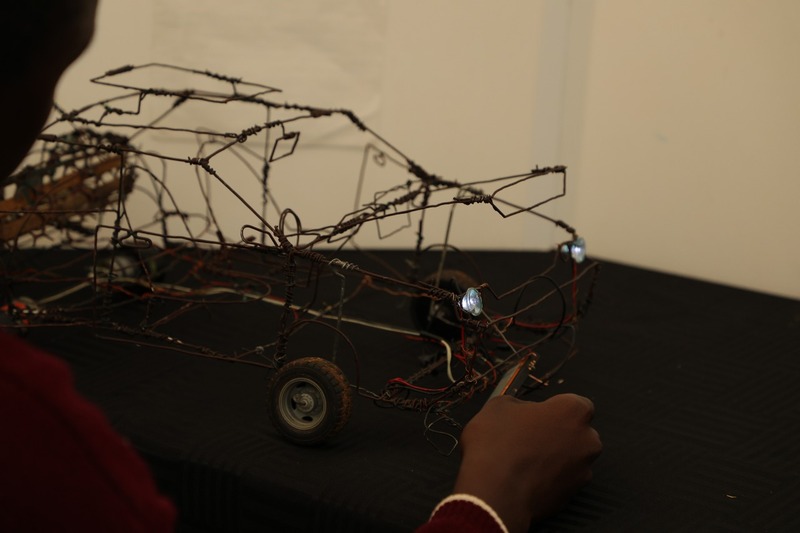 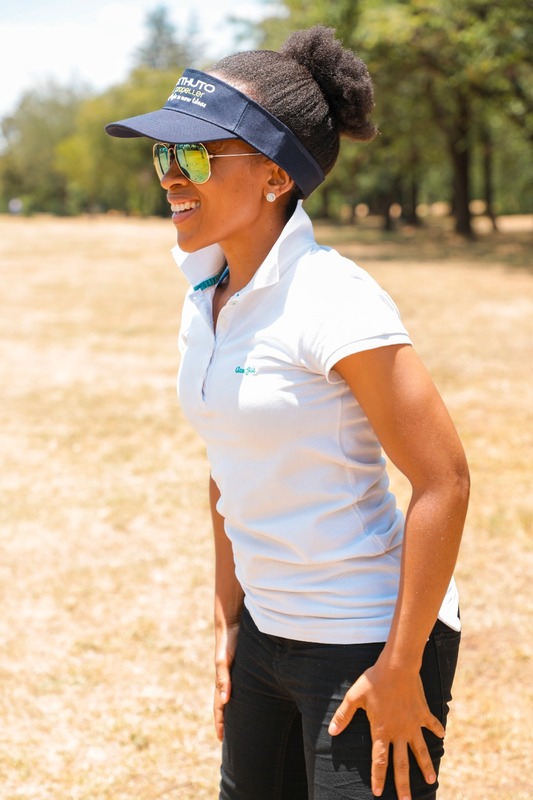 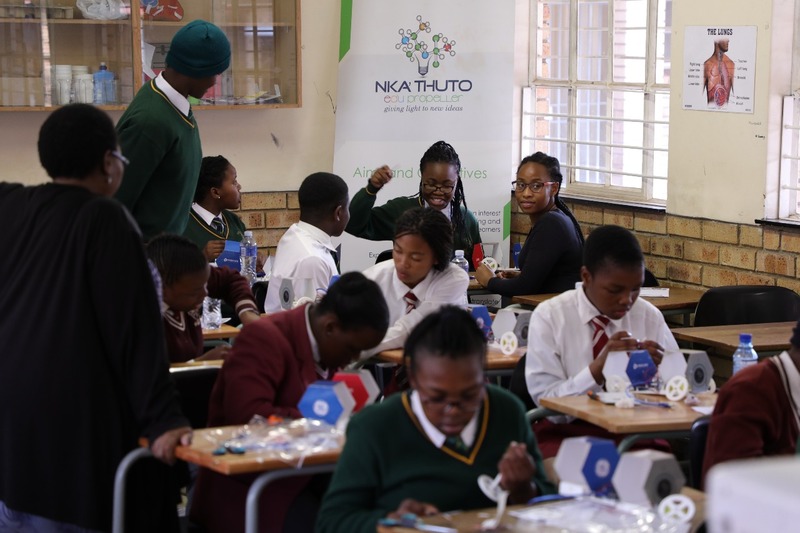 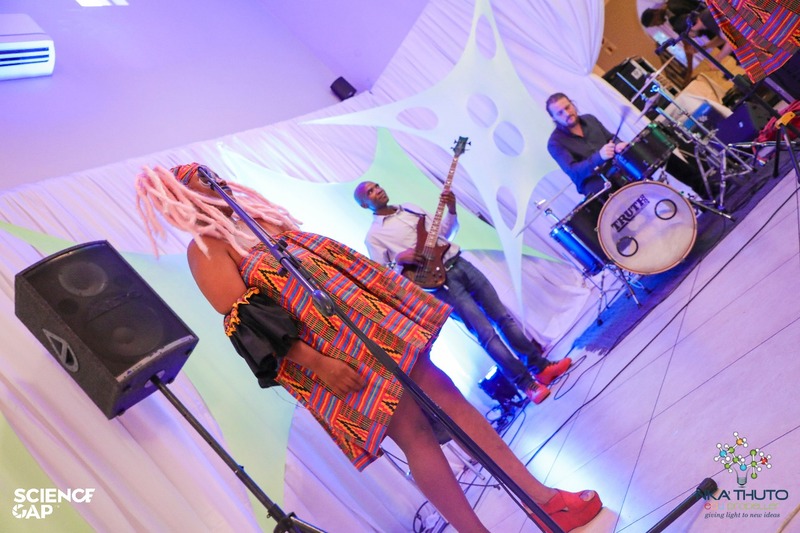 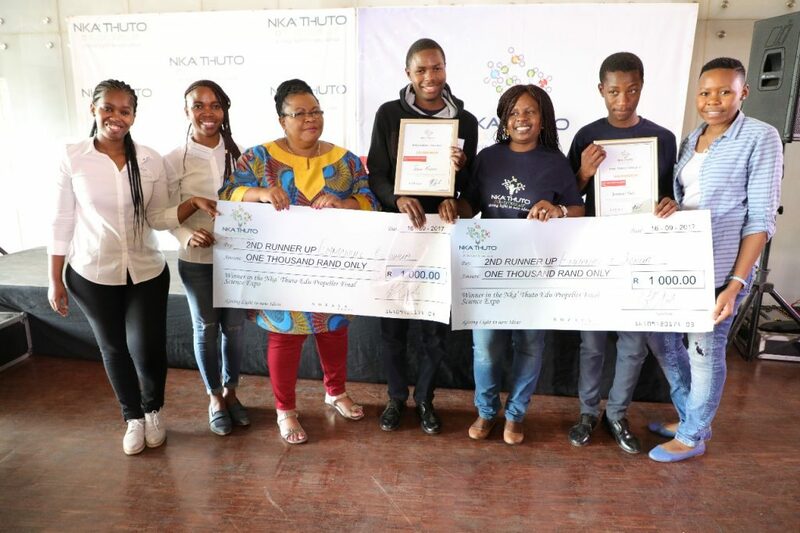 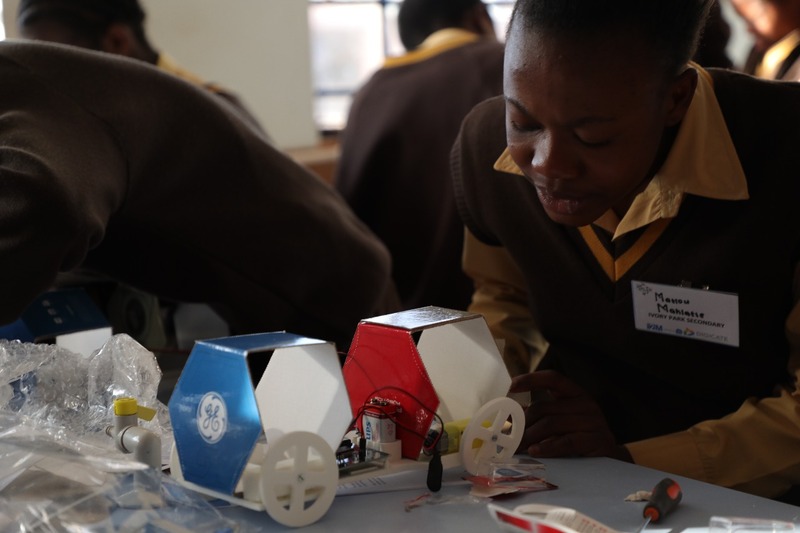 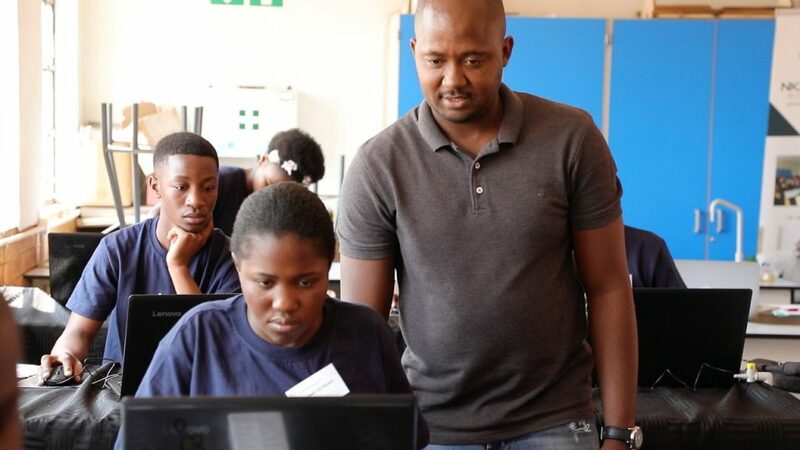 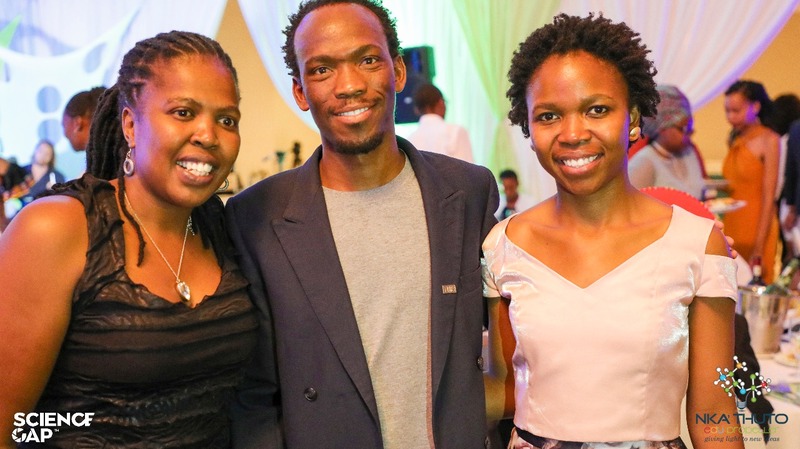 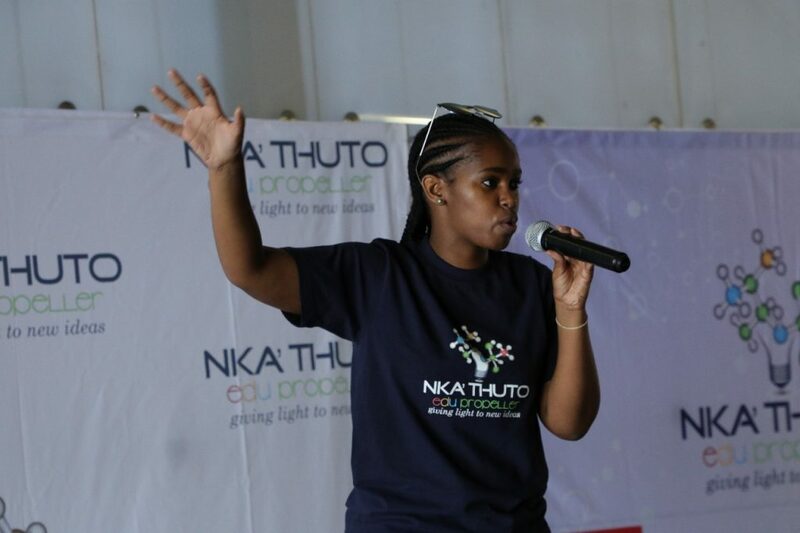 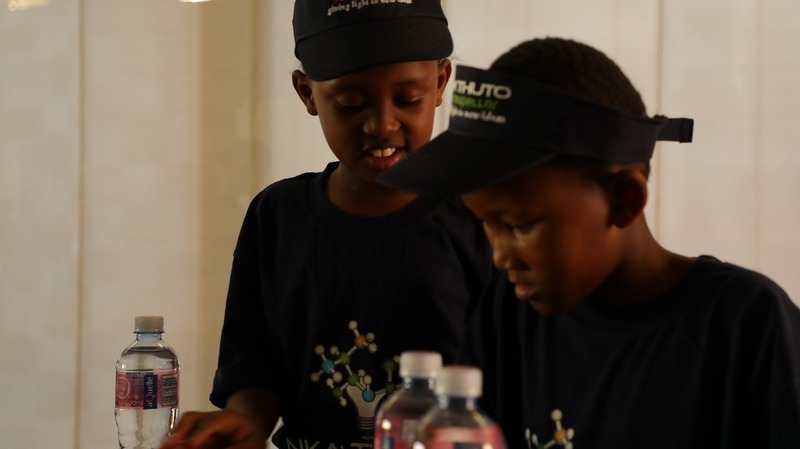 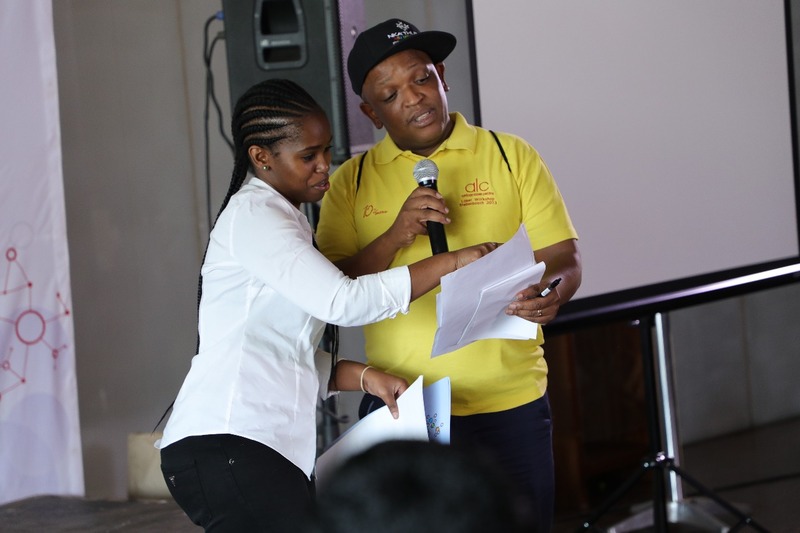 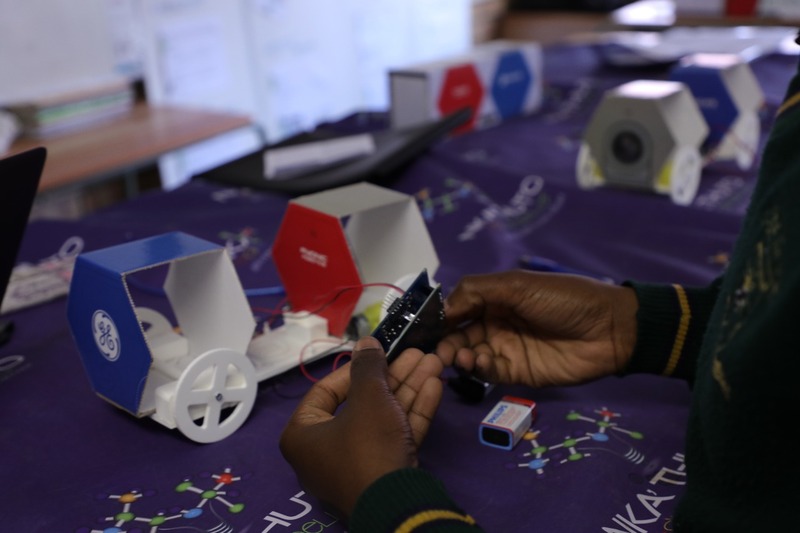 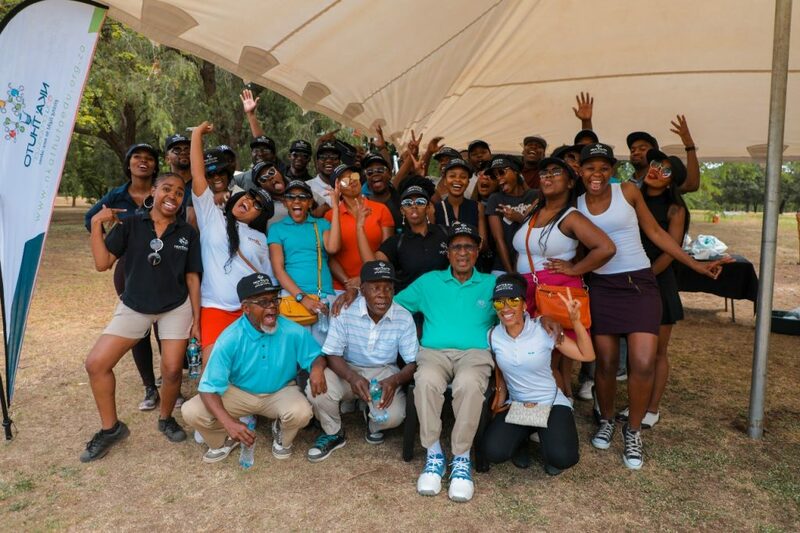 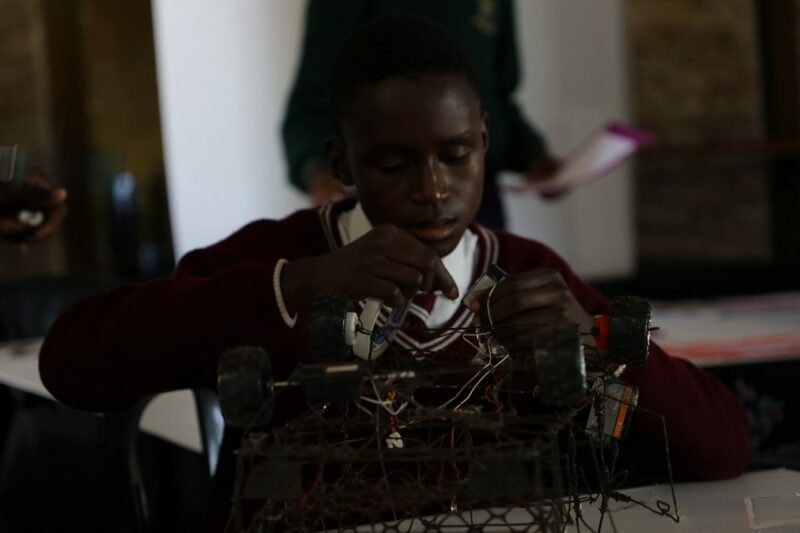 Nka’Thuto EduPropeller aims to spark an interest in science, technology, engineering and mathematics (STEM) subjects and fields amongst grade 4 to 11 learners. 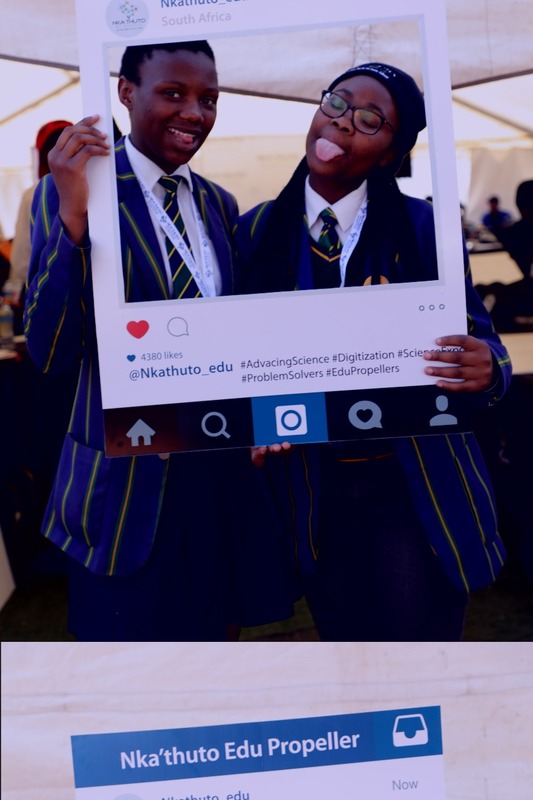 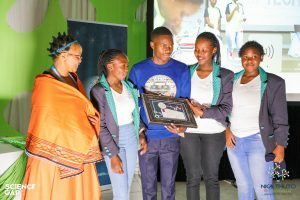 To achieve this the EduPropeller ambassadors visit all the beneficiary schools in the beginning of the year to get the learners excited about the Nka’Thuto science expo. 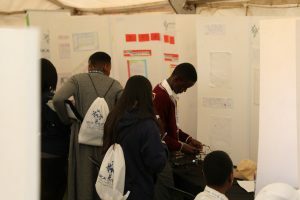 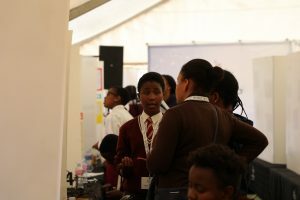 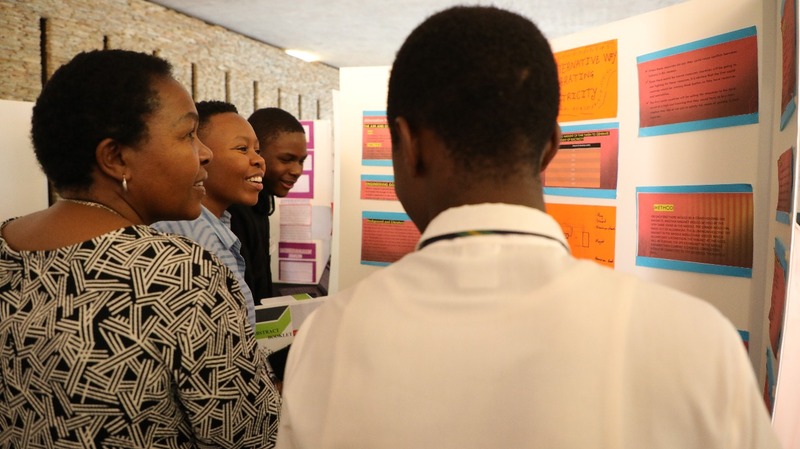 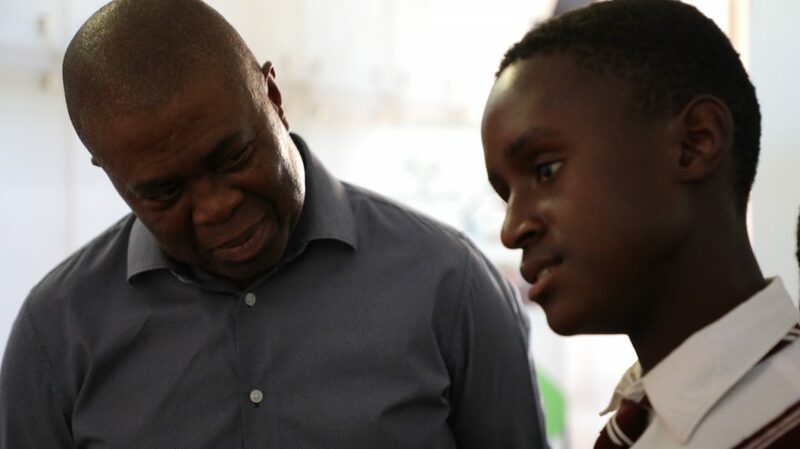 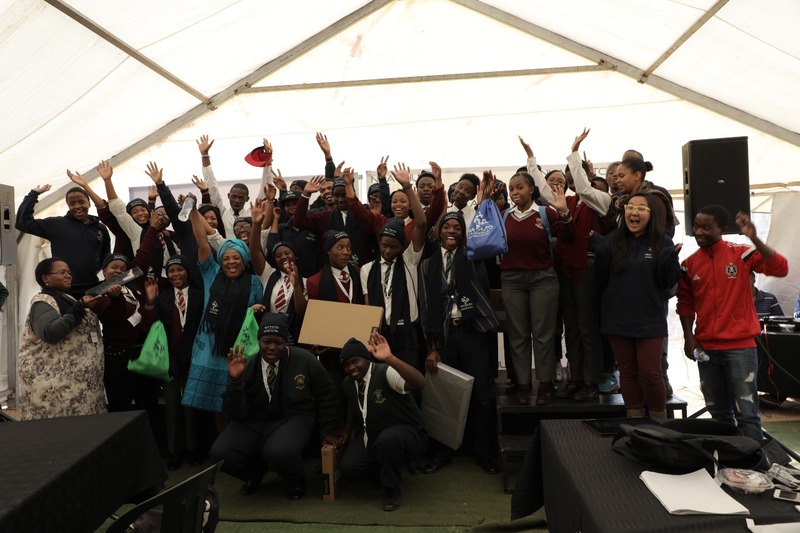 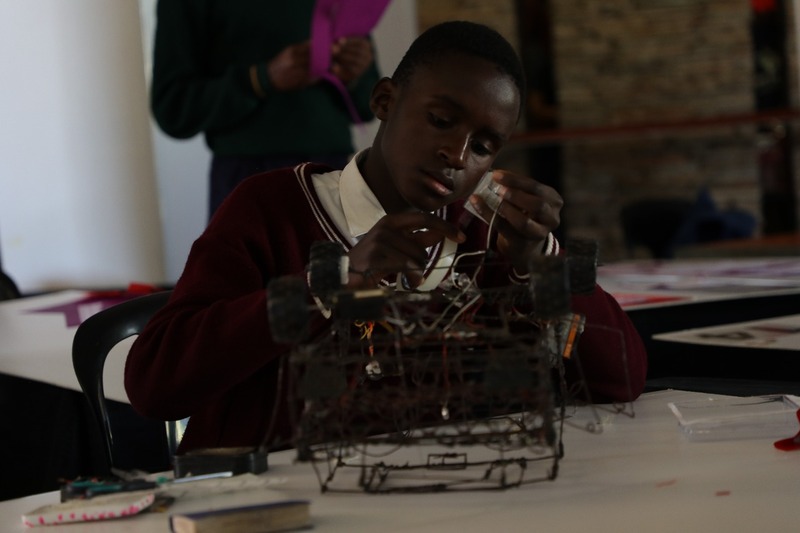 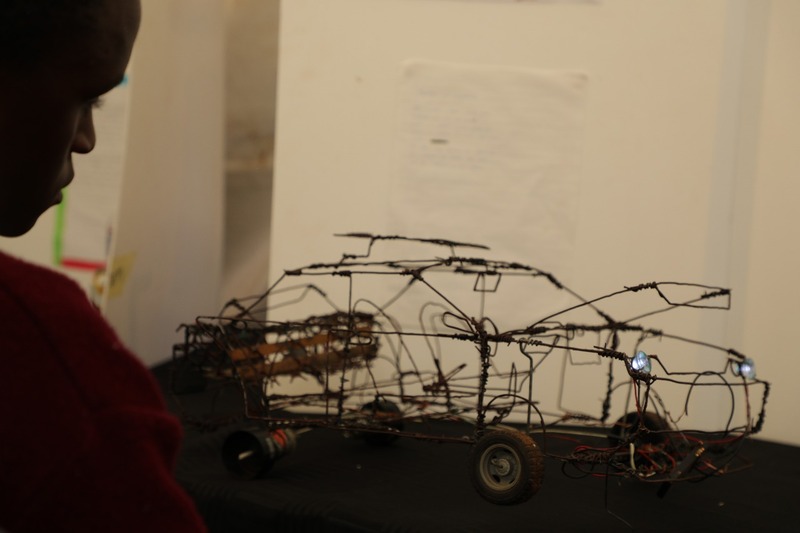 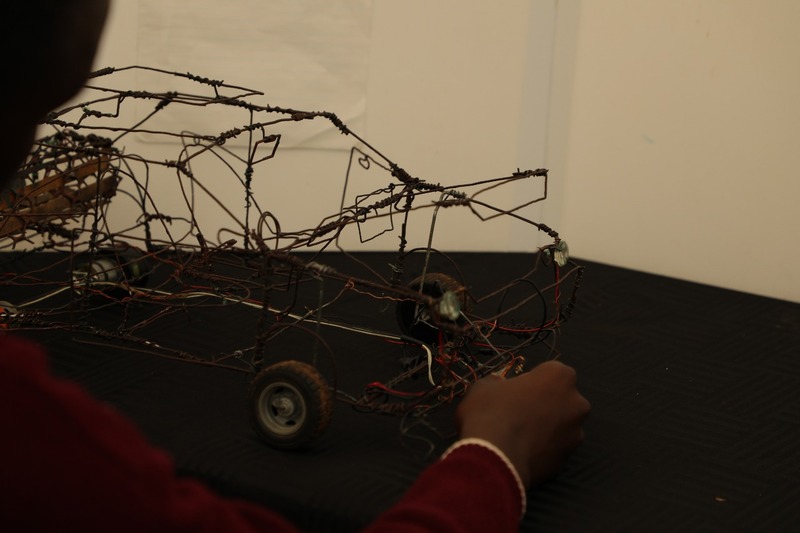 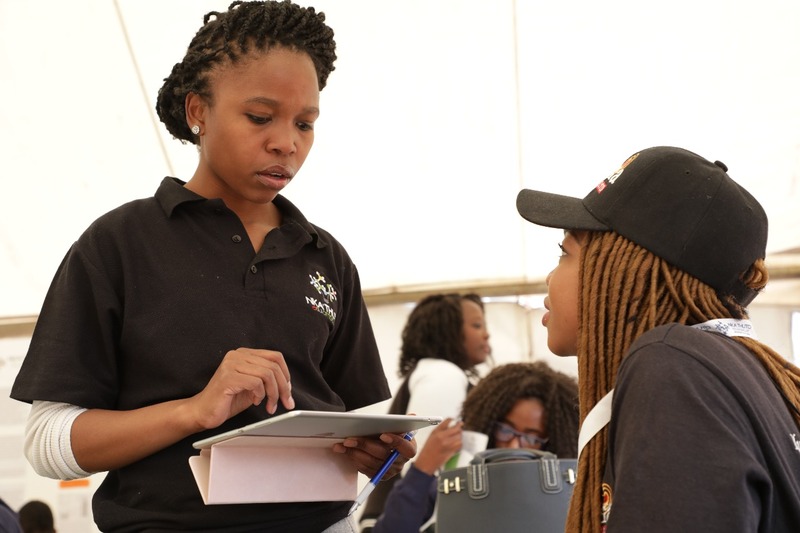 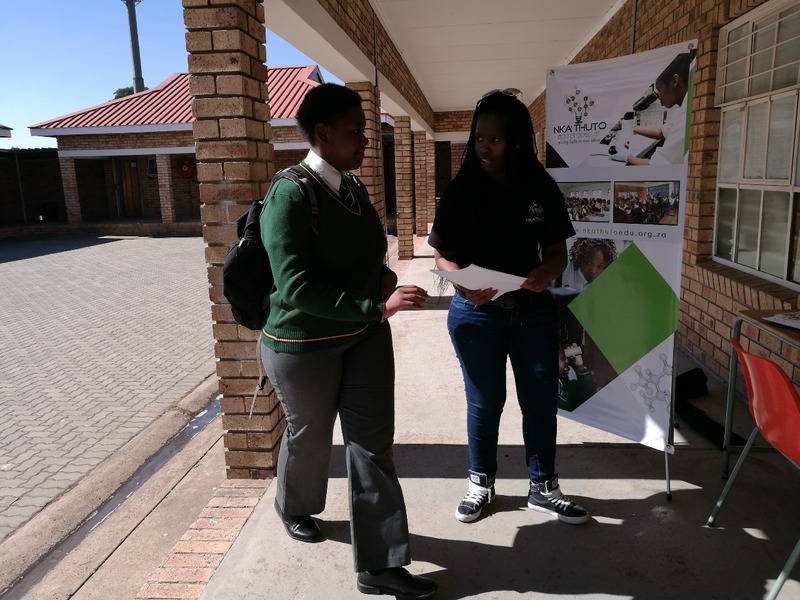 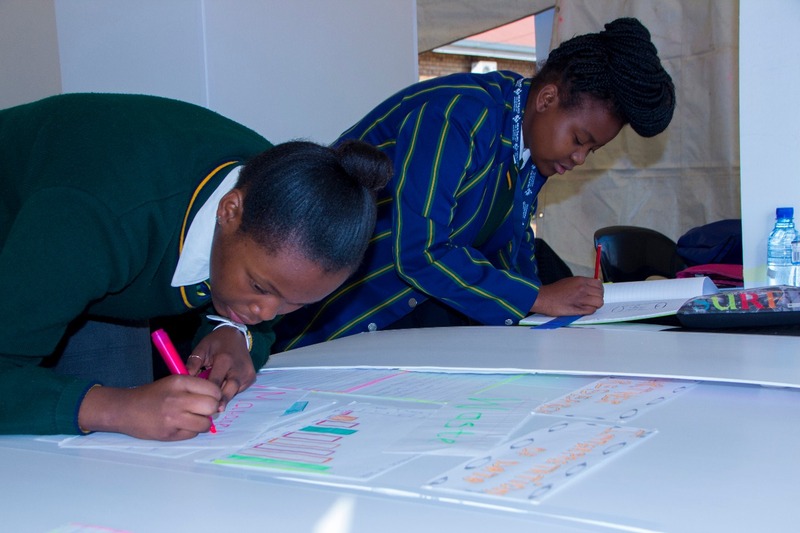 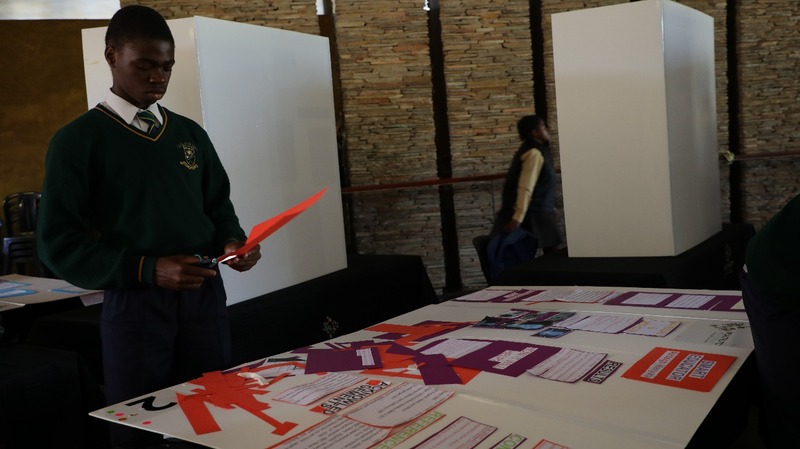 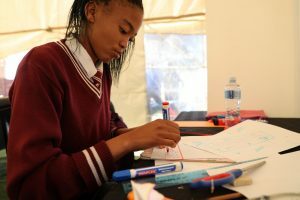 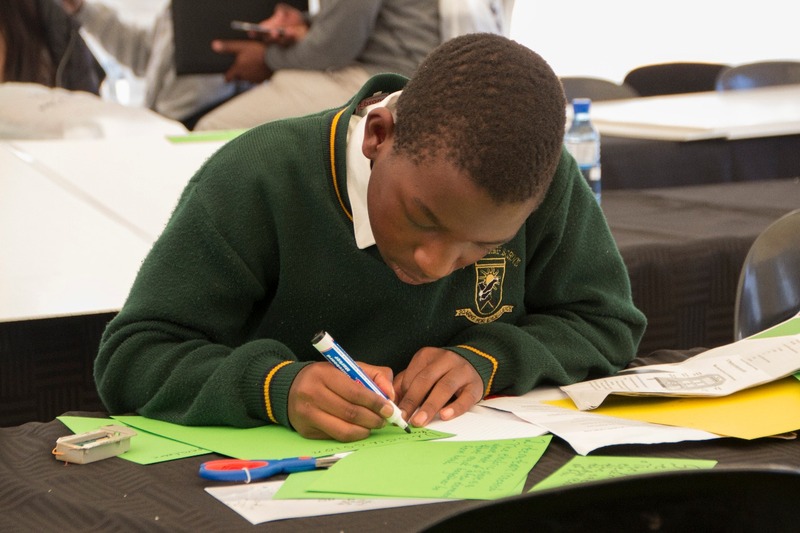 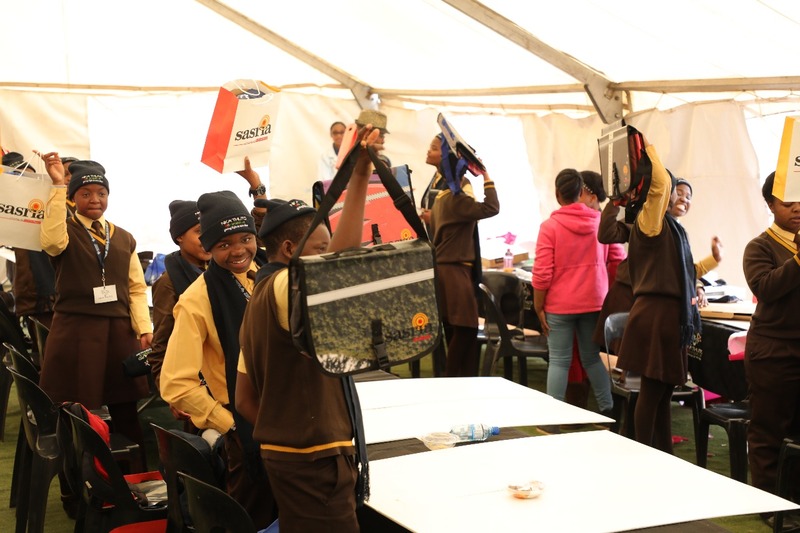 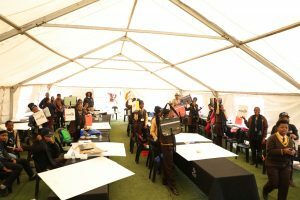 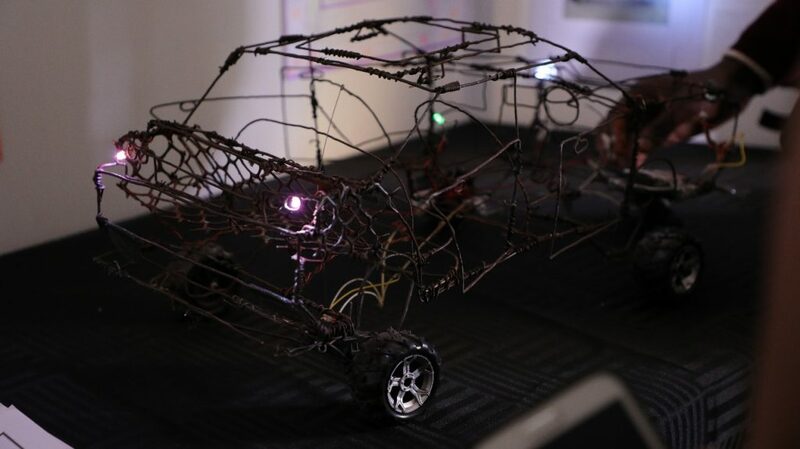 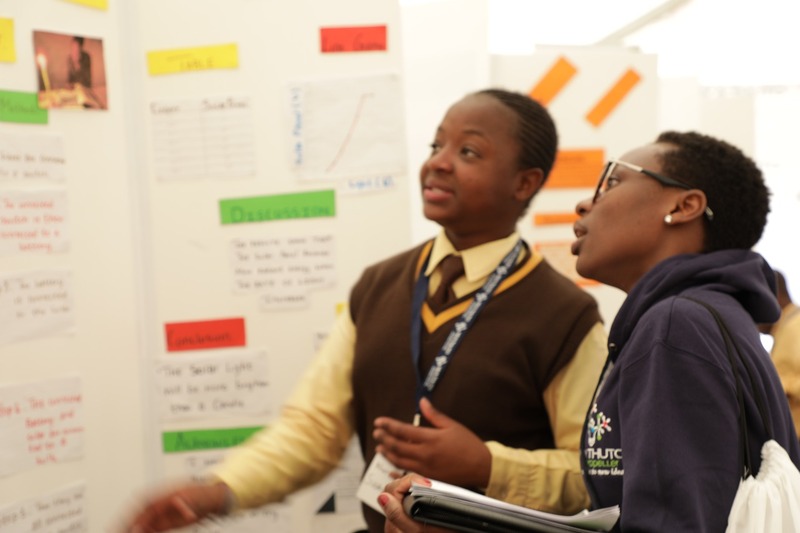 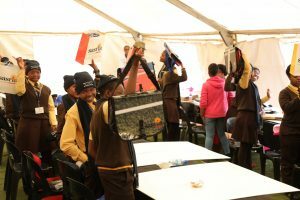 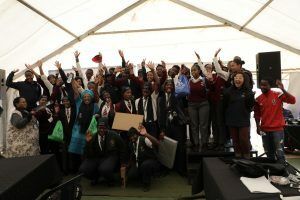 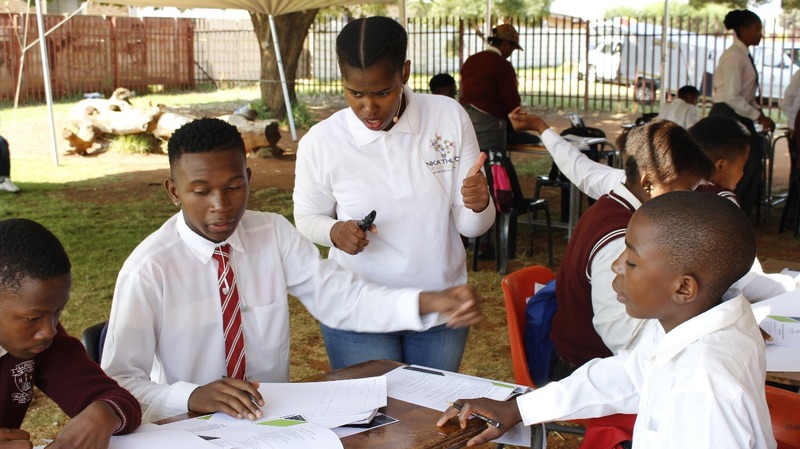 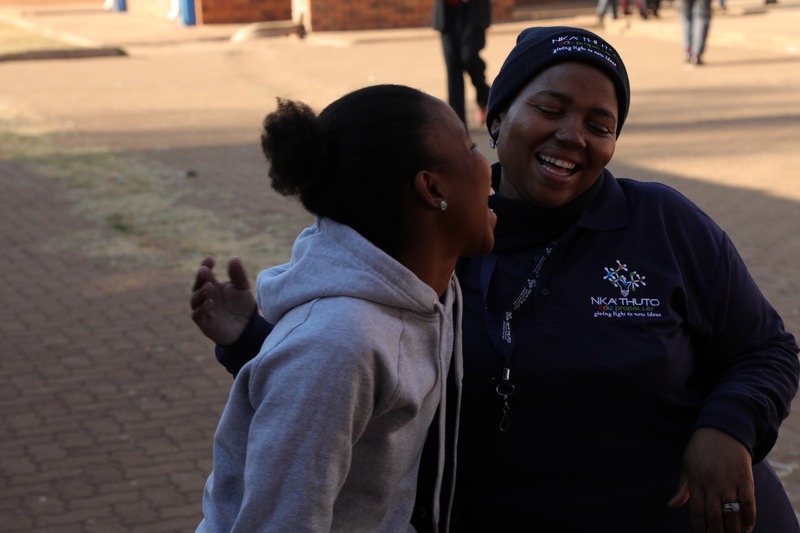 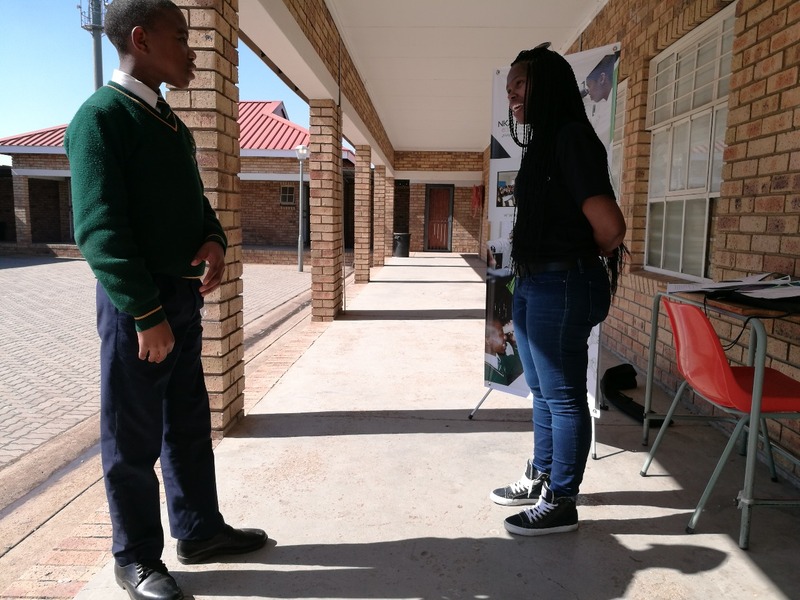 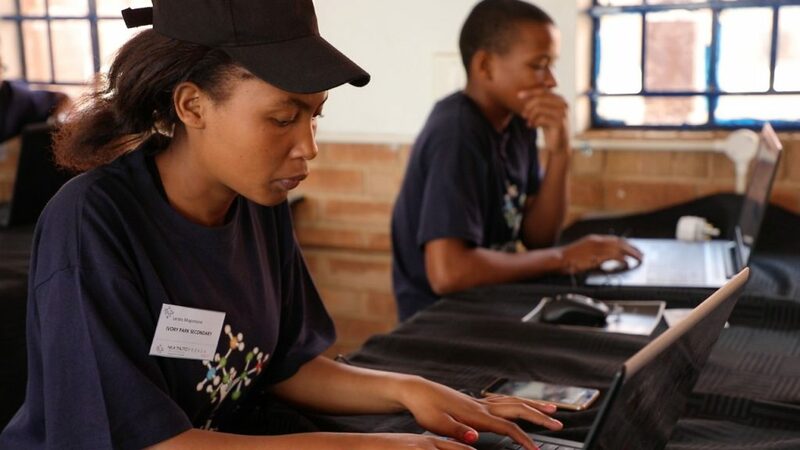 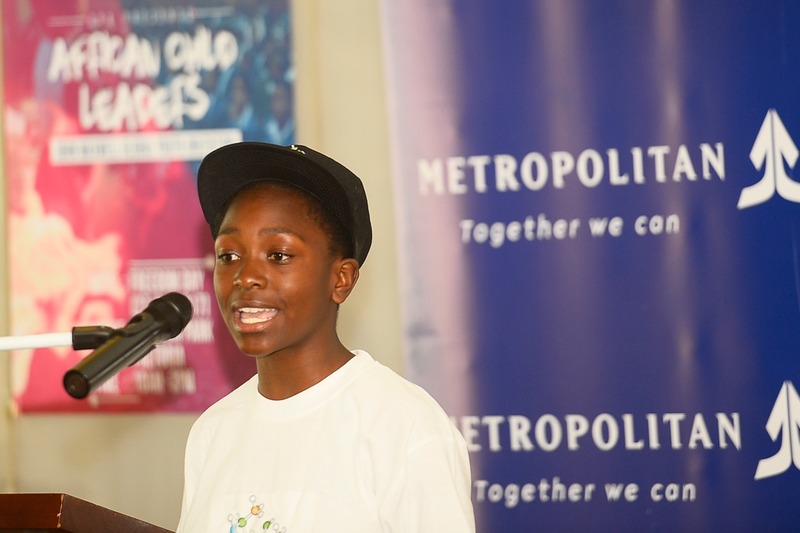 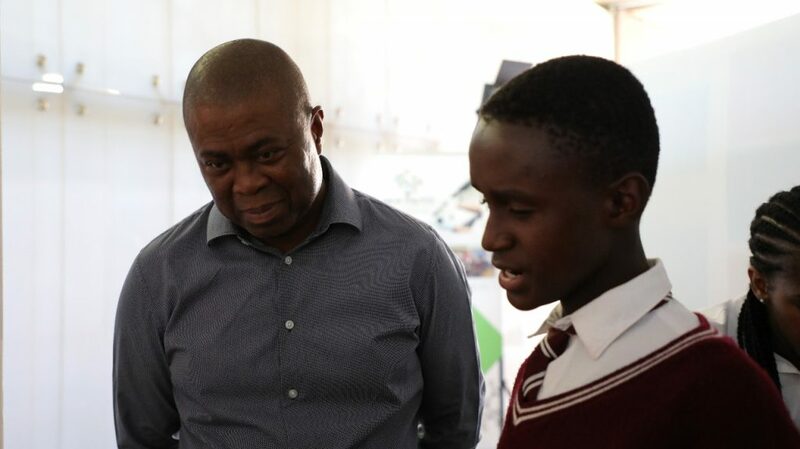 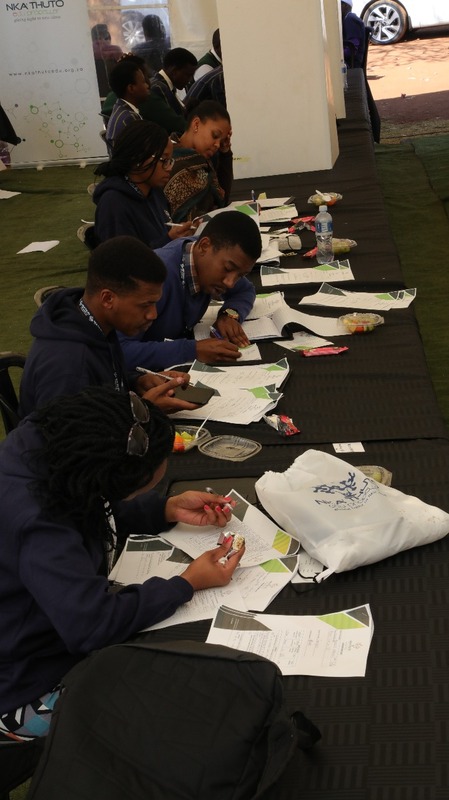 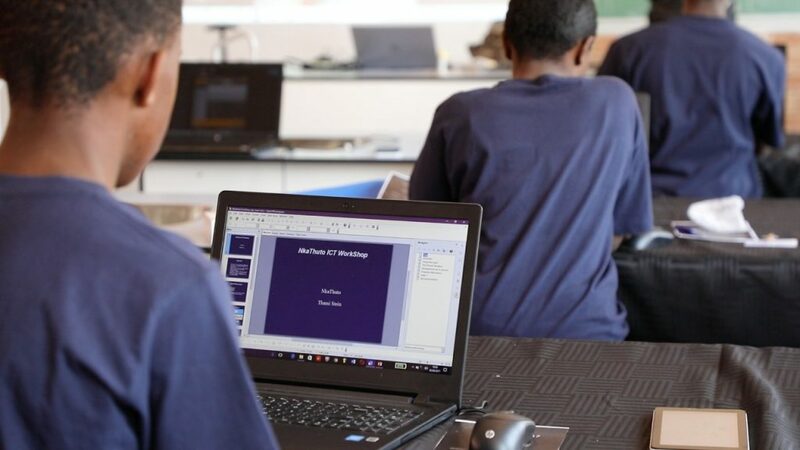 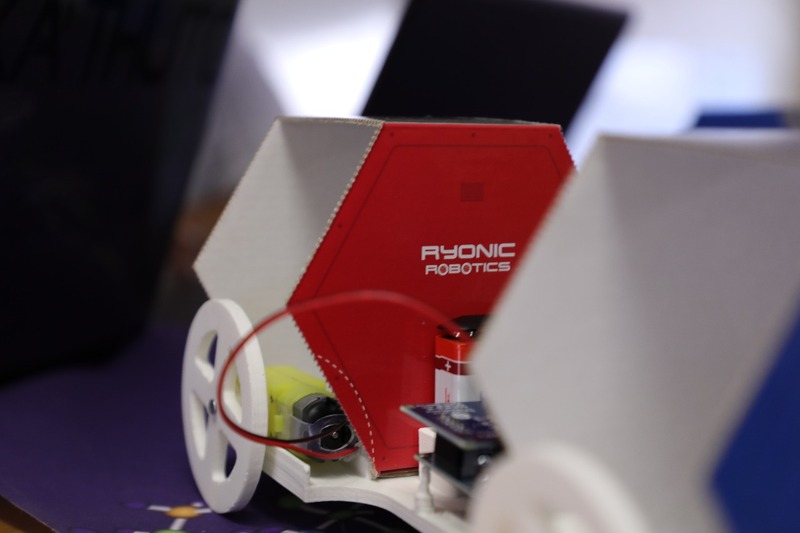 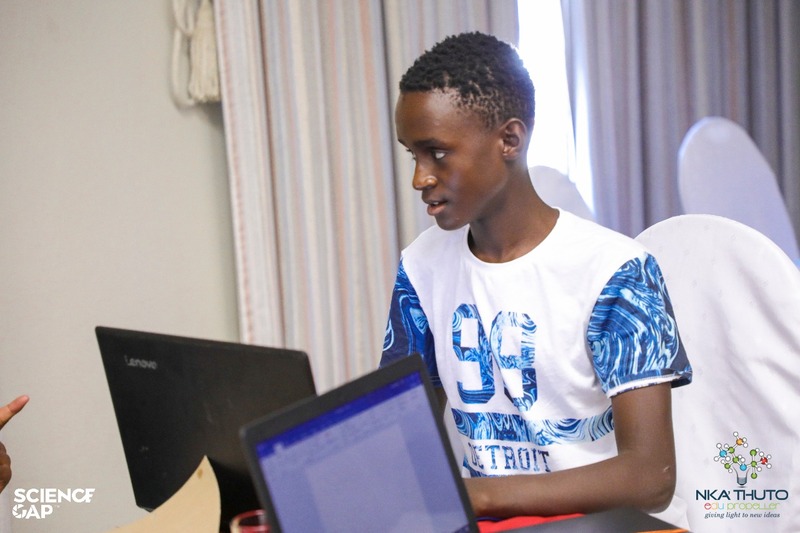 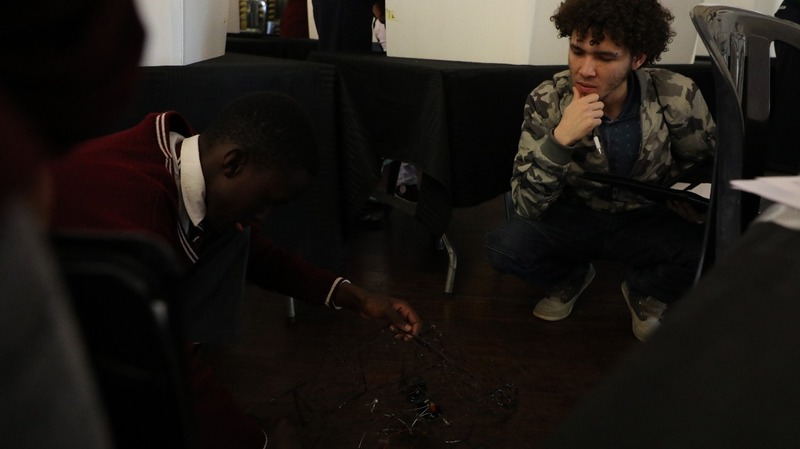 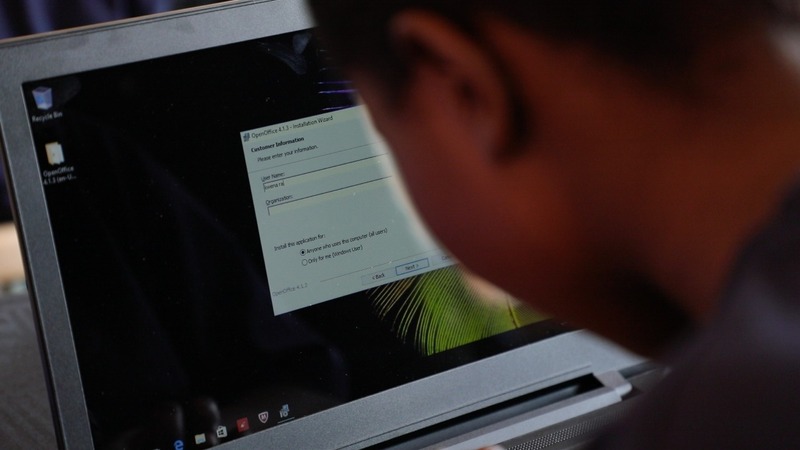 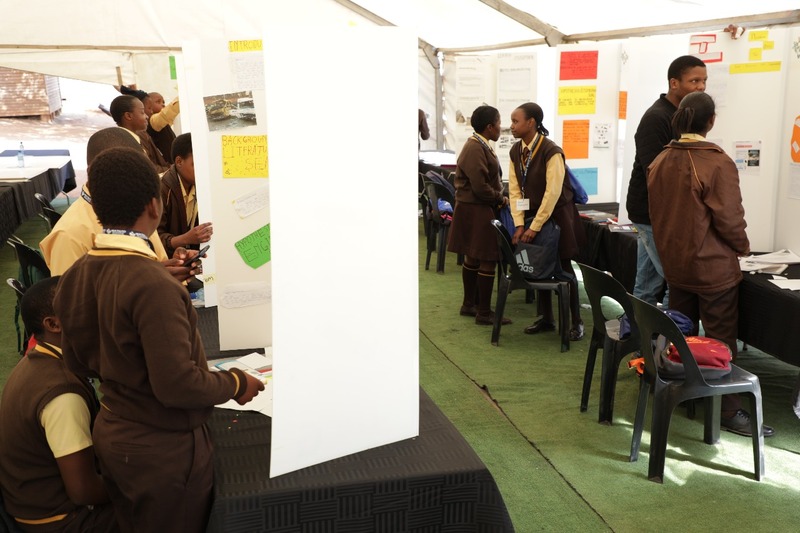 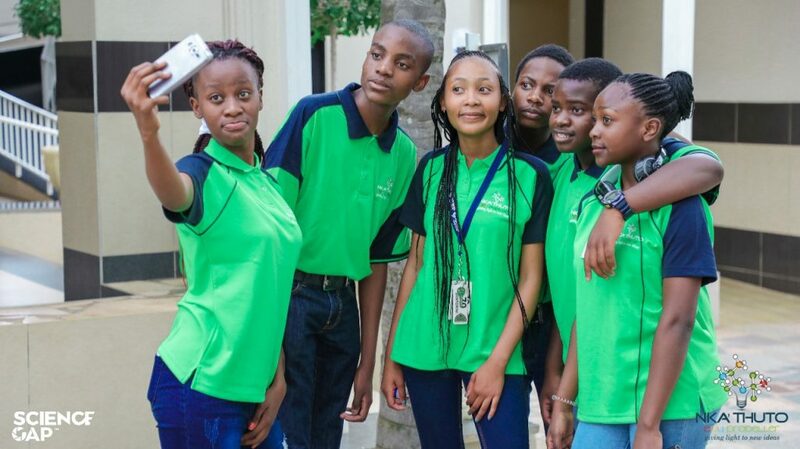 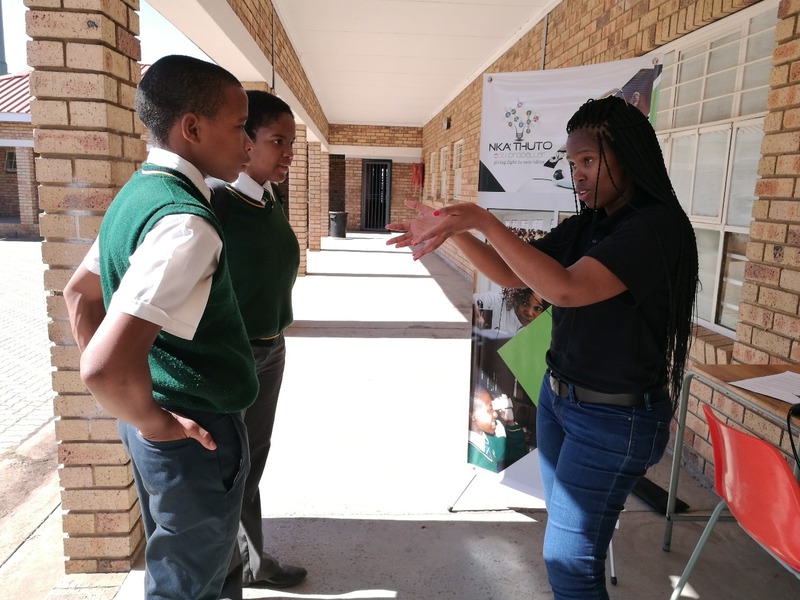 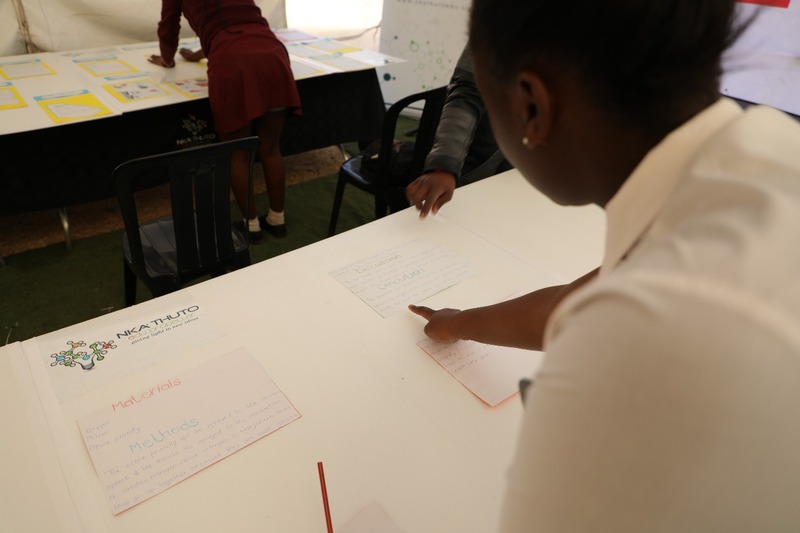 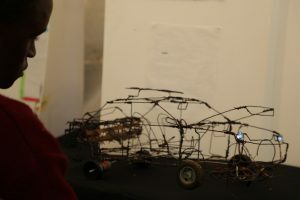 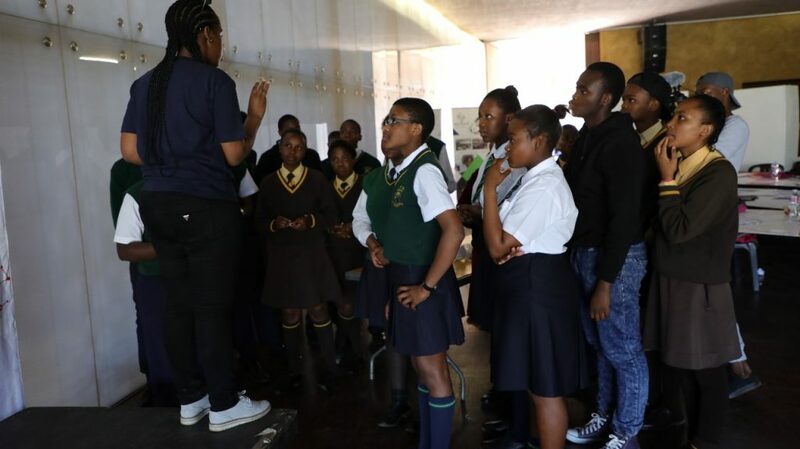 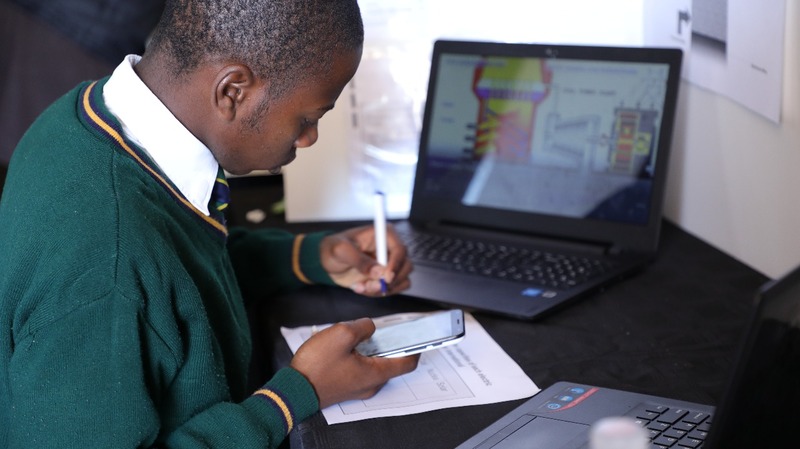 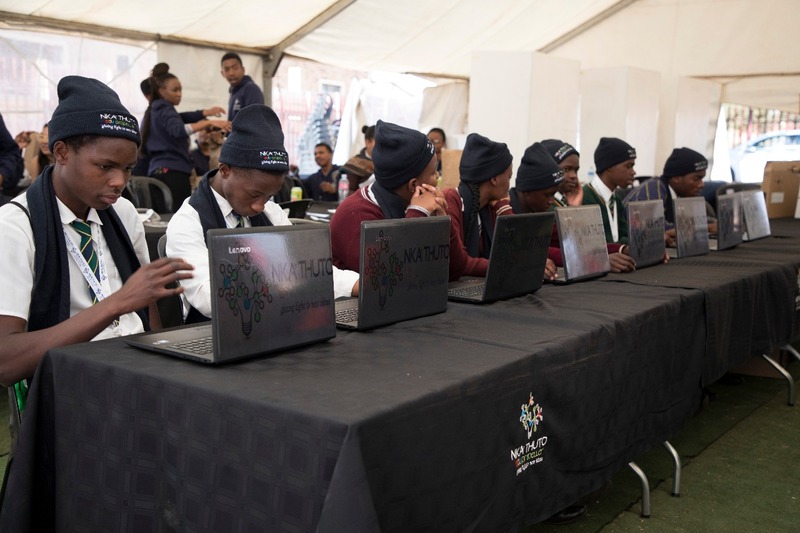 Learners are activated to find problems in the communities, solve those using STEM principles and they are encouraged to take part in the Nka’Thuto science expo. 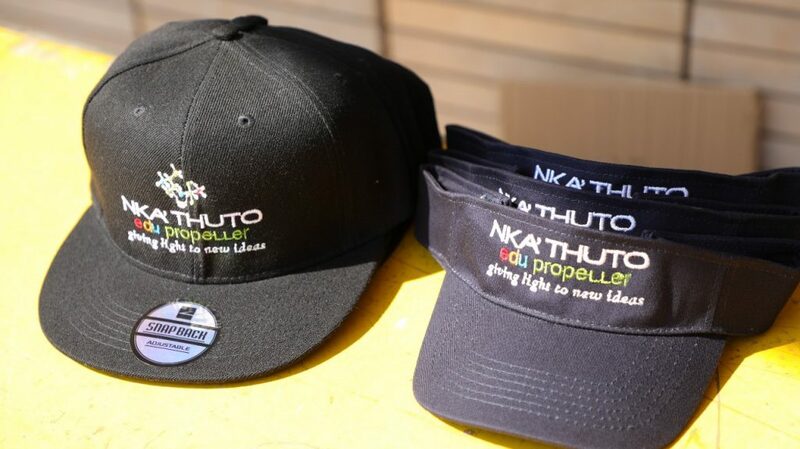 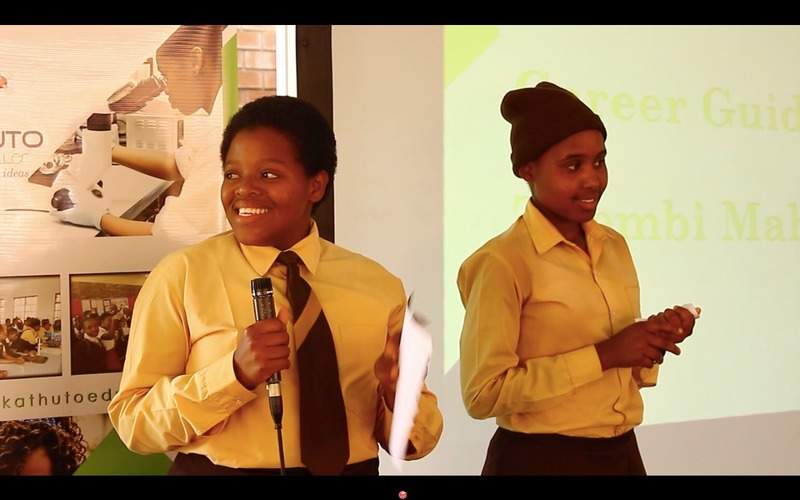 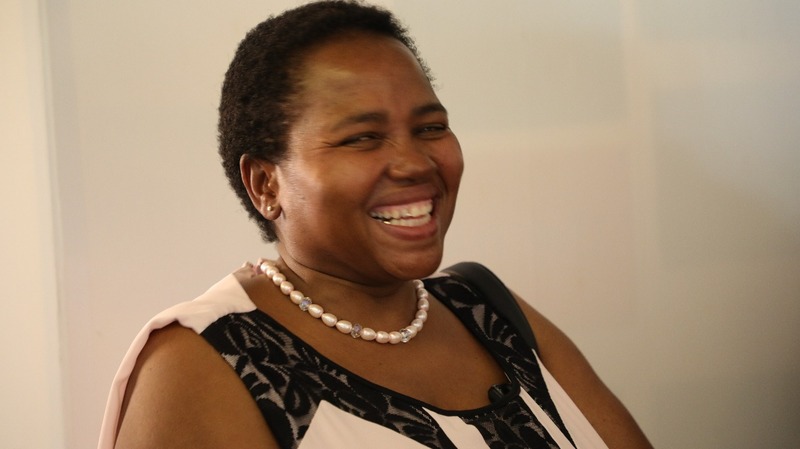 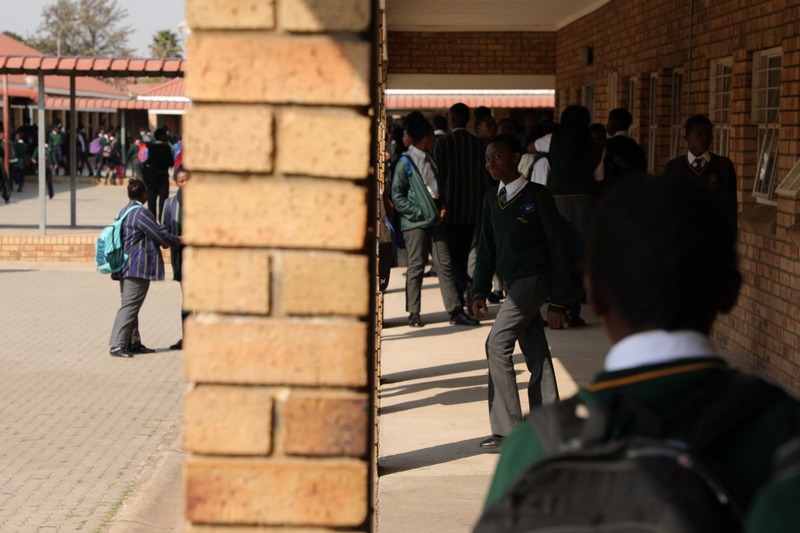 Nka’Thuto EduPropeller understand the resource limitations faced by learners in township and rural schools. 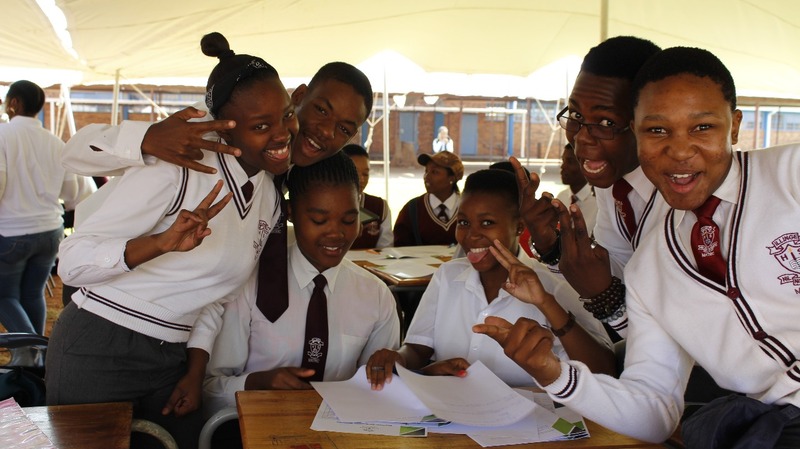 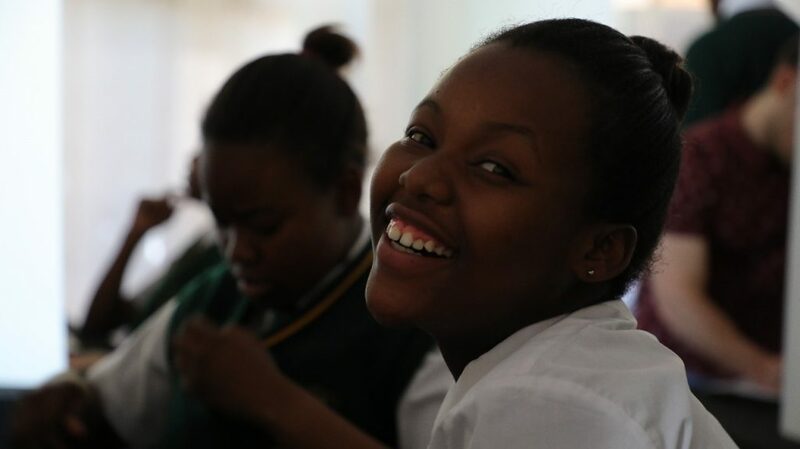 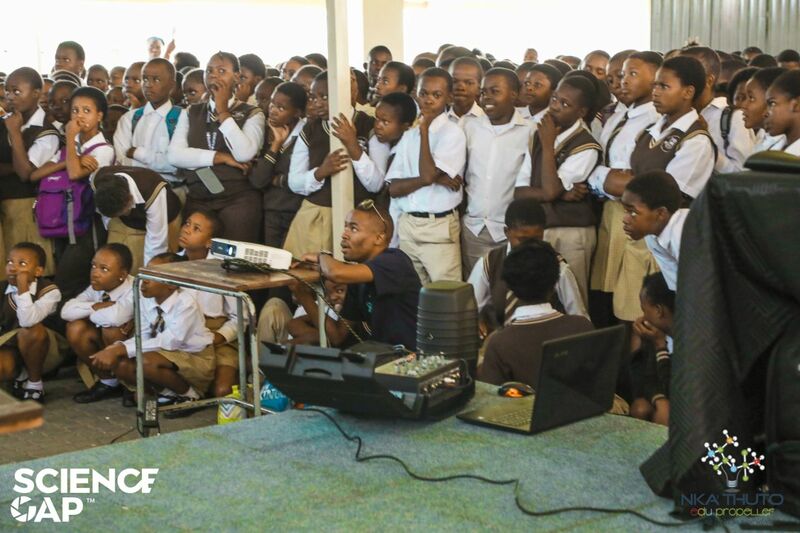 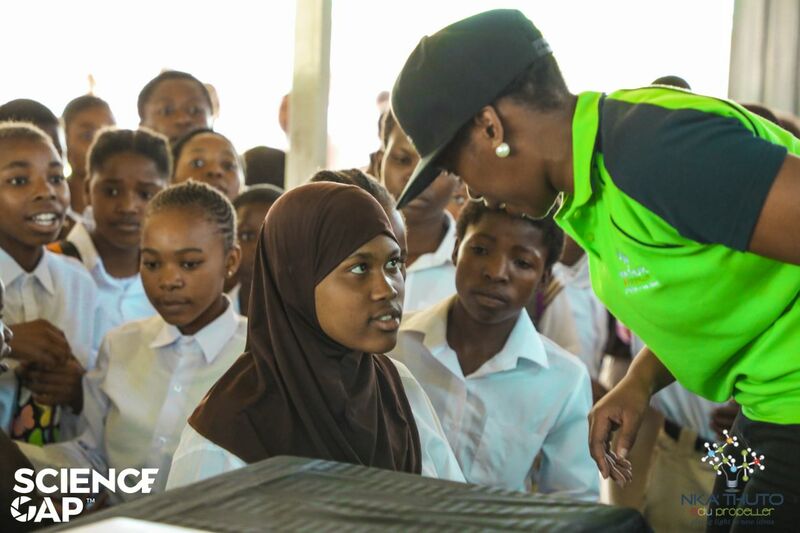 In preparing for the science expo the learners attend a workshop which takes place at their school premises. 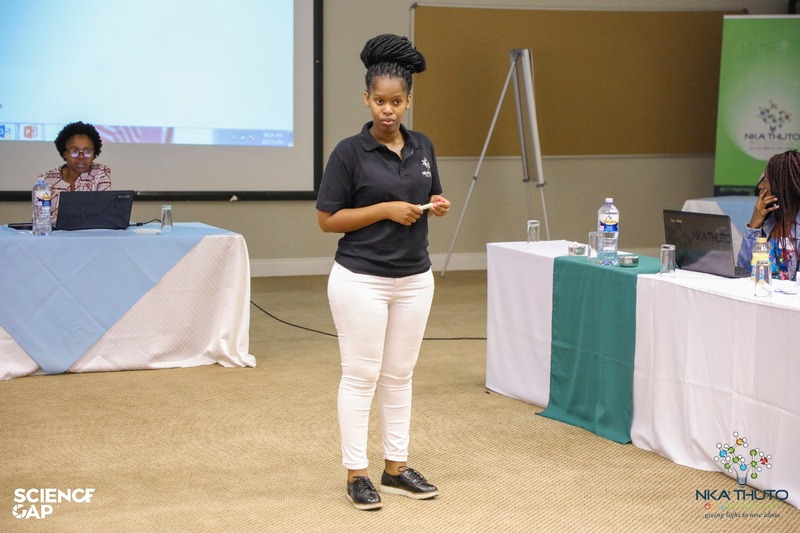 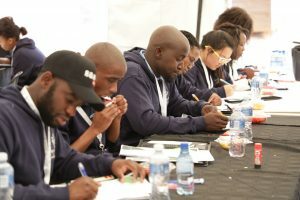 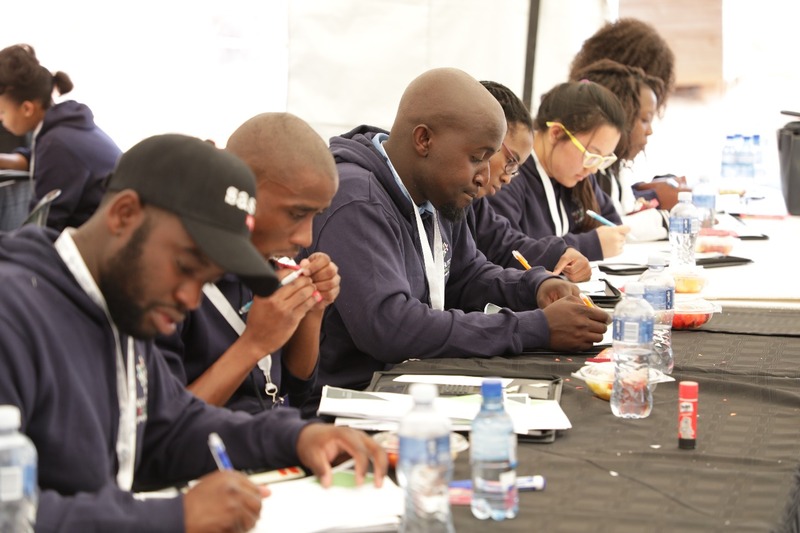 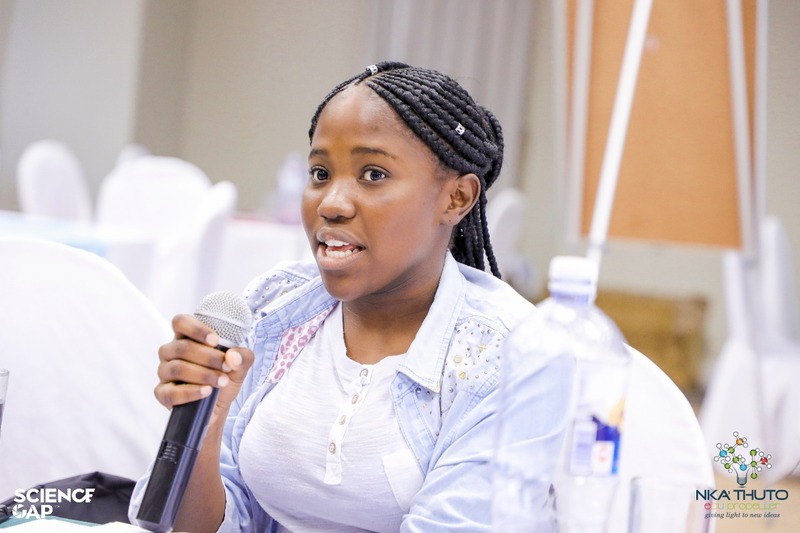 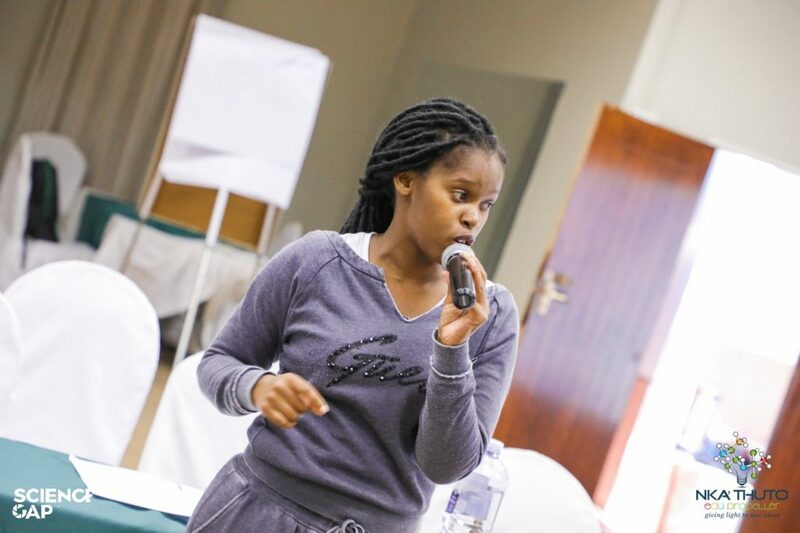 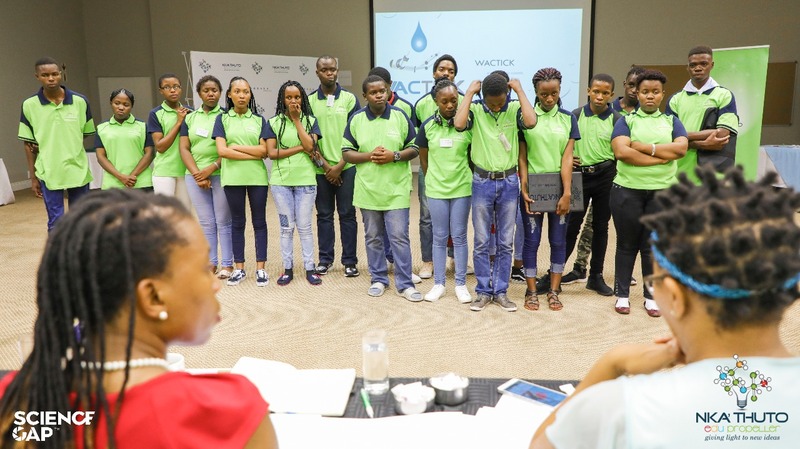 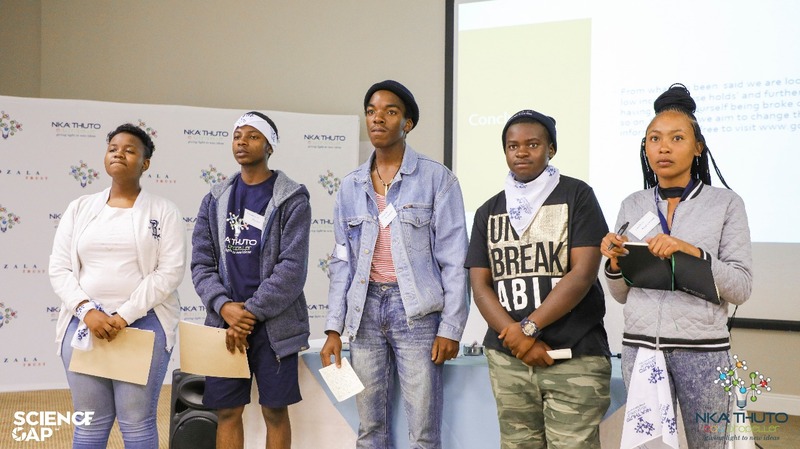 Nka’Thuto facilitators who are young, black professional from various STEM fields workshop the learners on how to go about doing research and finding the solutions to the societal problem the learners have identified. 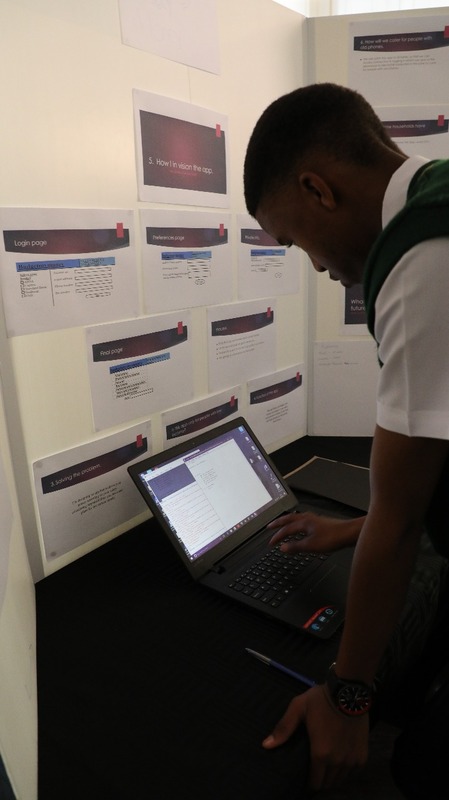 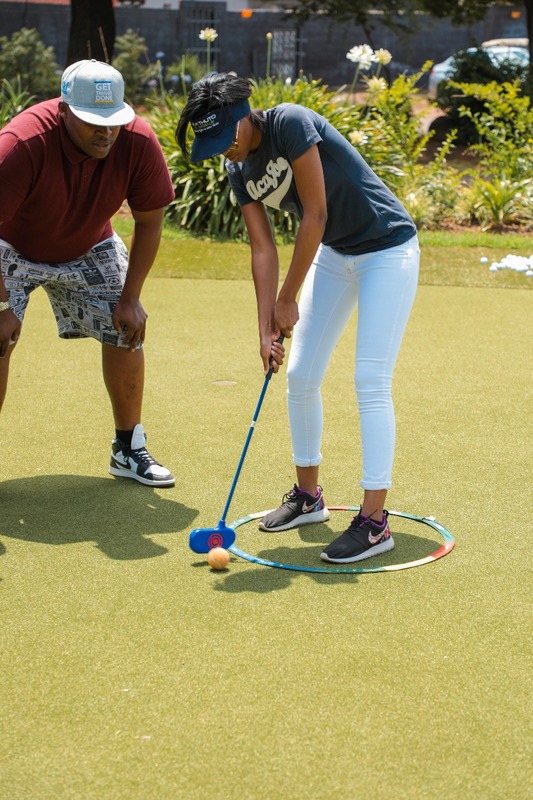 These workshops are filled with educational games such as a custom made 30 seconds with STEM based statements that learners need to describe to their team. 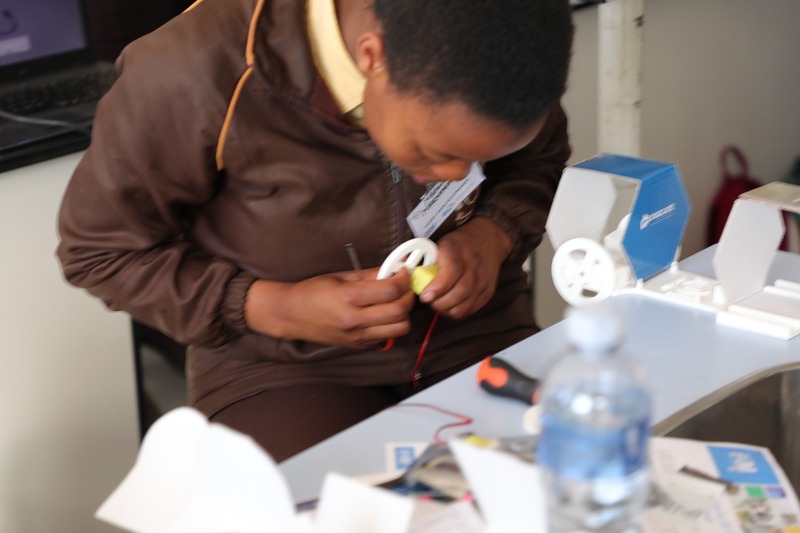 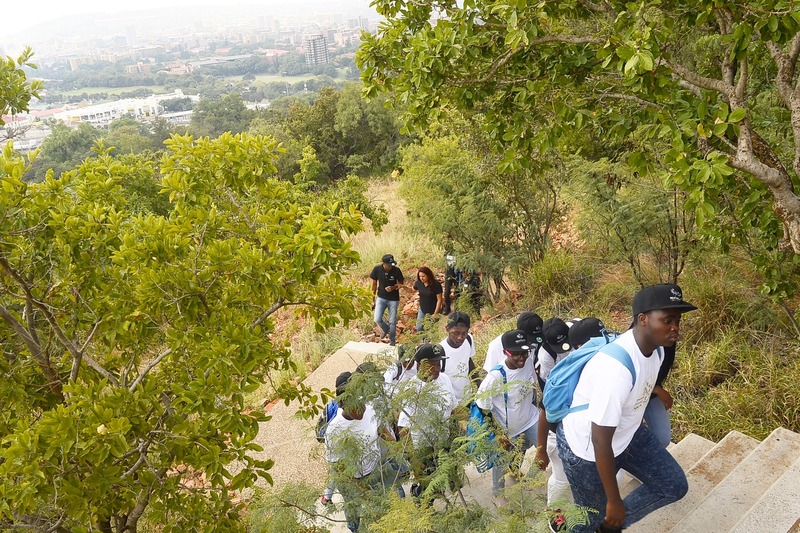 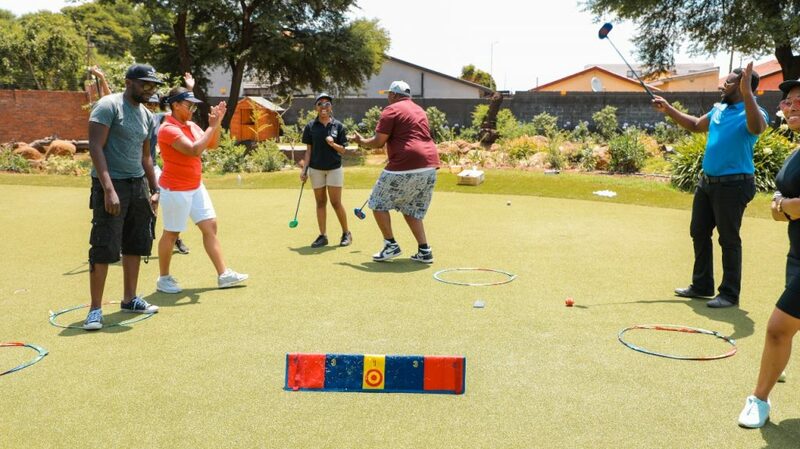 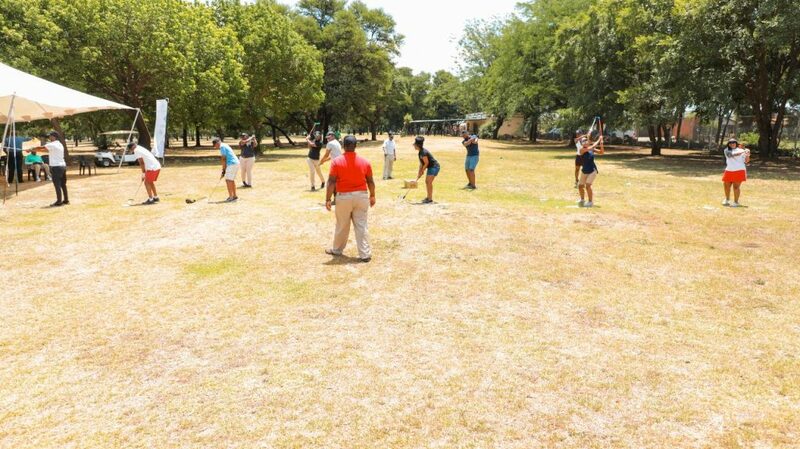 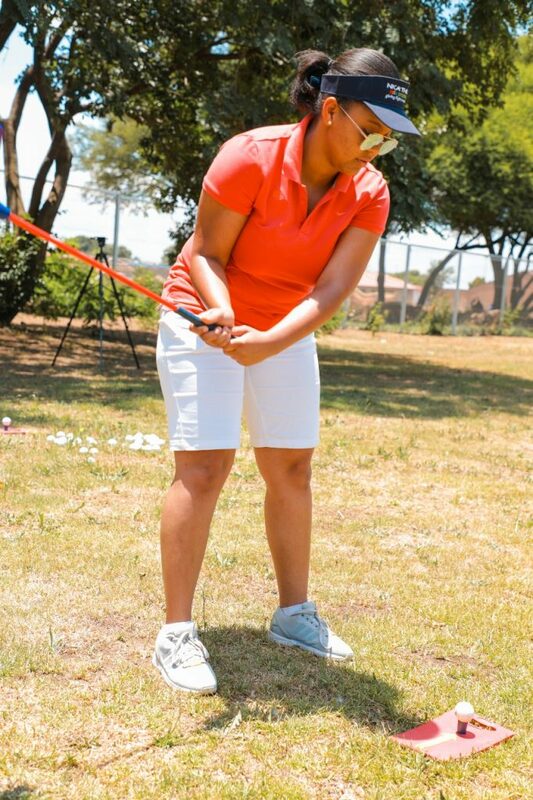 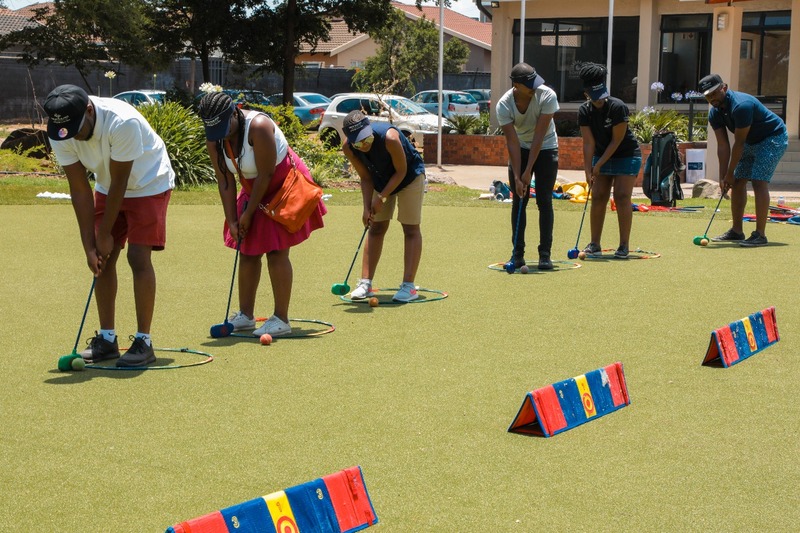 The workshop sees the learners participating in hands on exercises in groups and as individuals. Class wide discussion about various topics related to conducting research and solving problems are held. 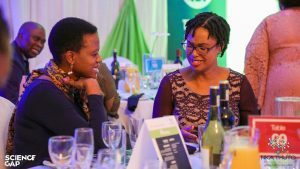 Furthermore, guest speakers who are STEM professionals that are also from disadvantaged demographics and backgrounds are invited to share their stories with the learners. 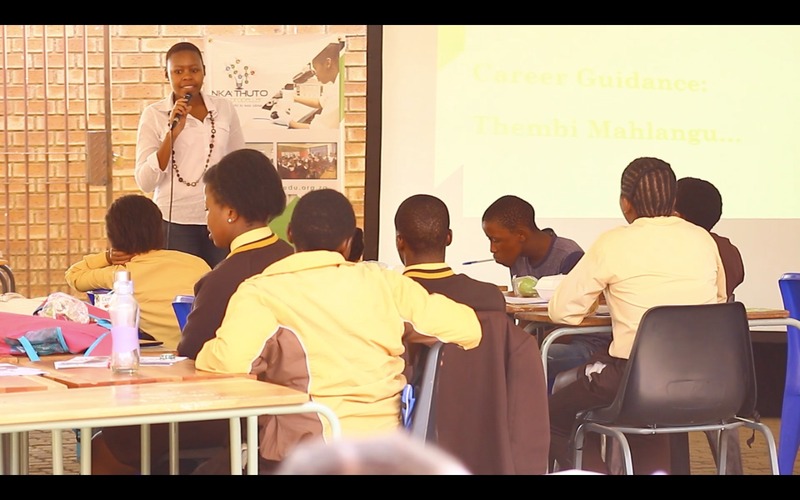 They motivate the learners and explain their different career to the learners. 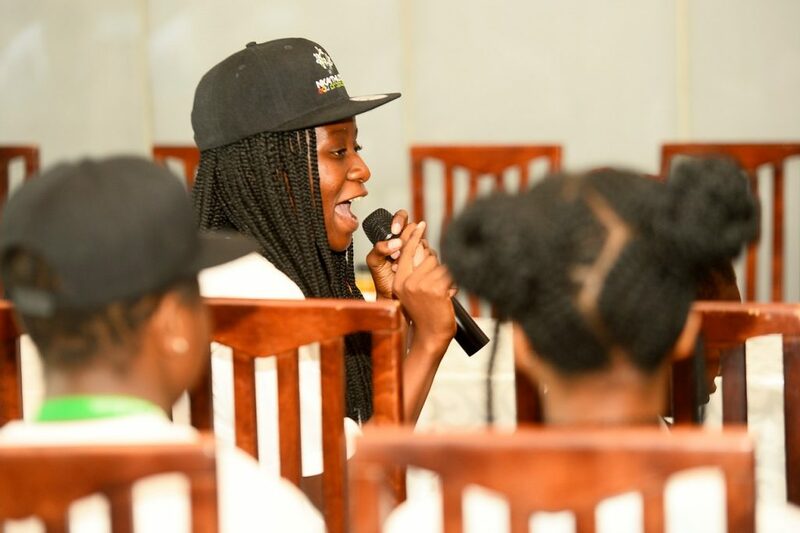 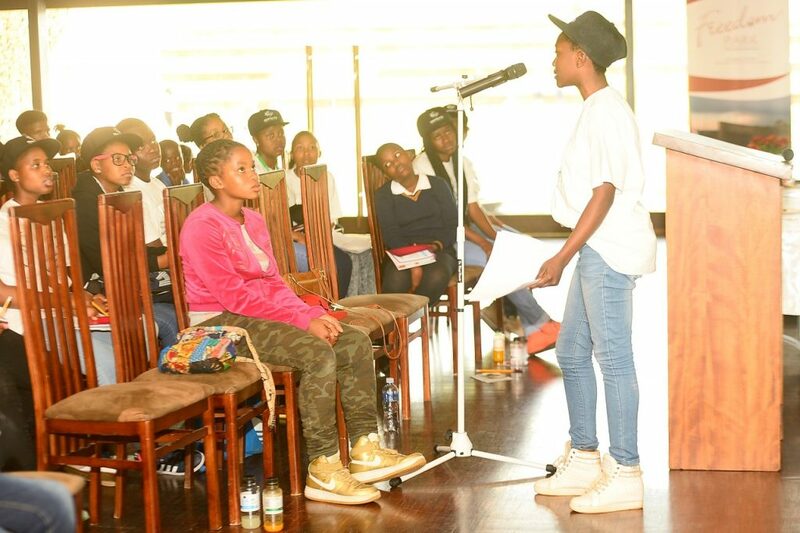 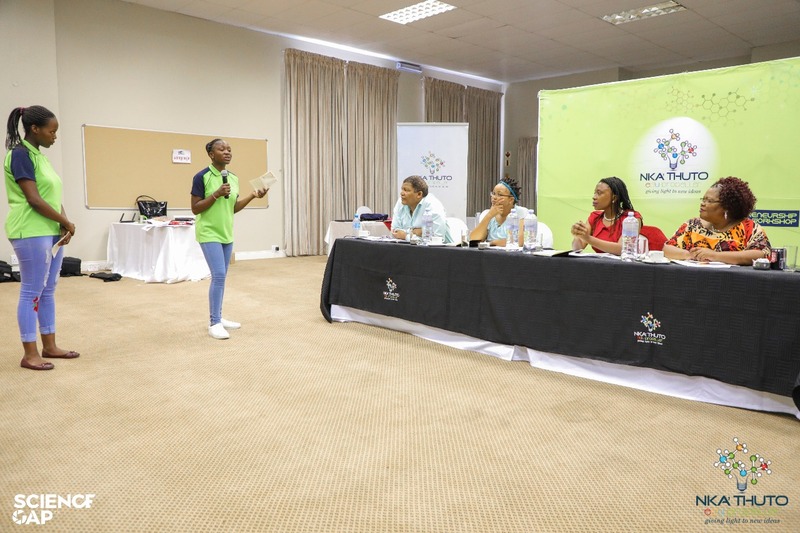 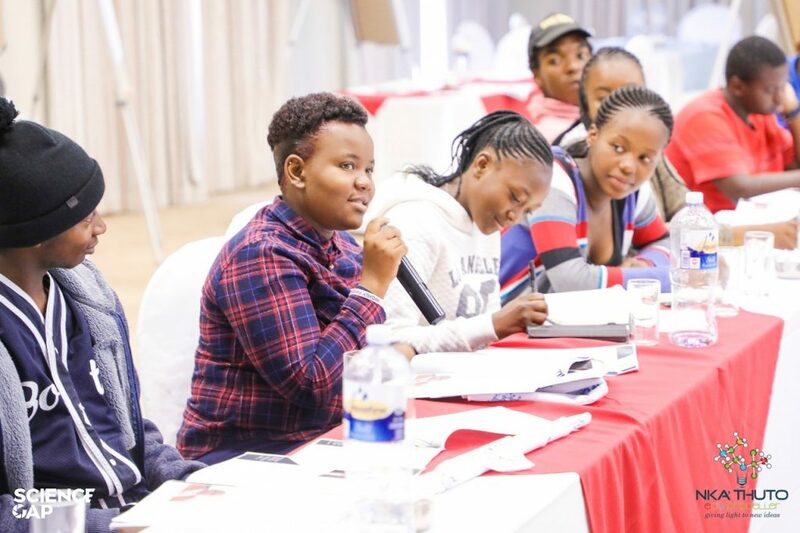 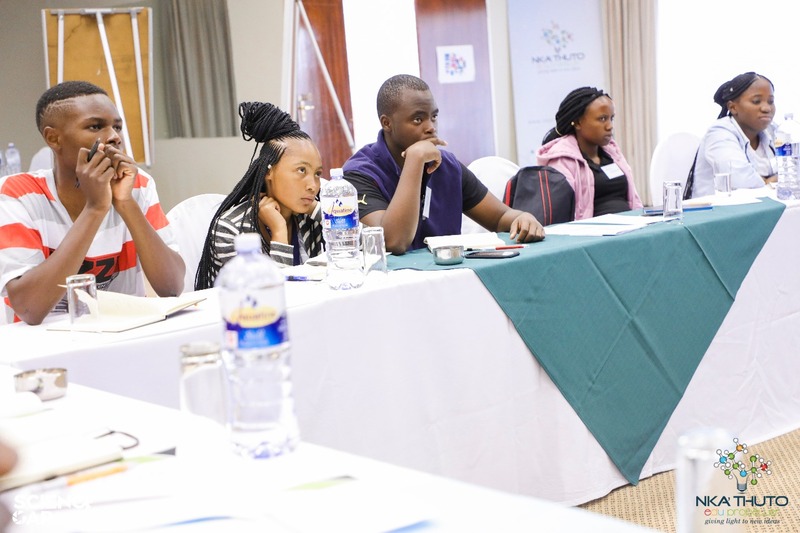 The workshop is wrapped up by a competition where a handful of learners stand in front of the whole group and present the problem of the day and the solutions discussed during the workshop. 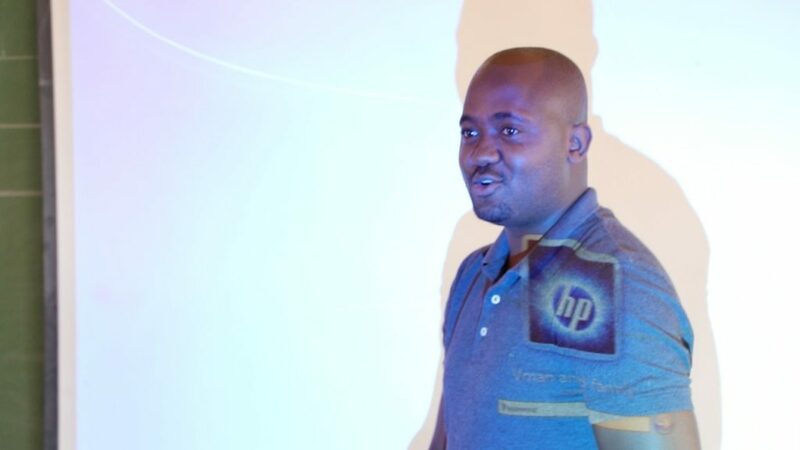 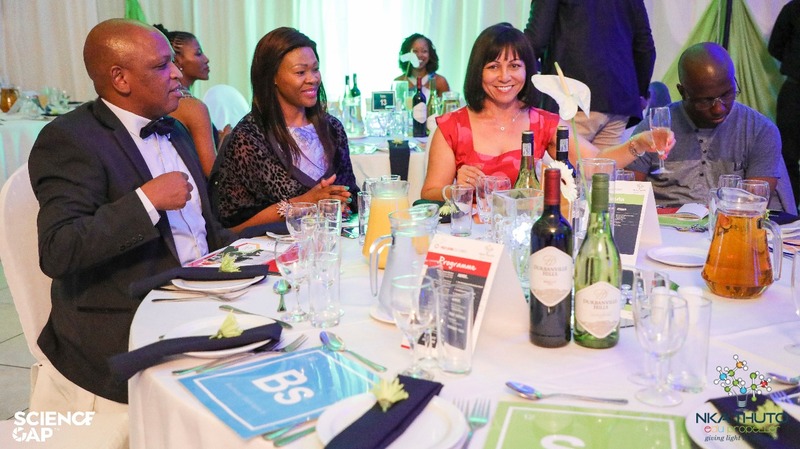 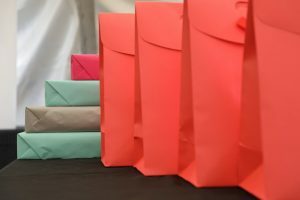 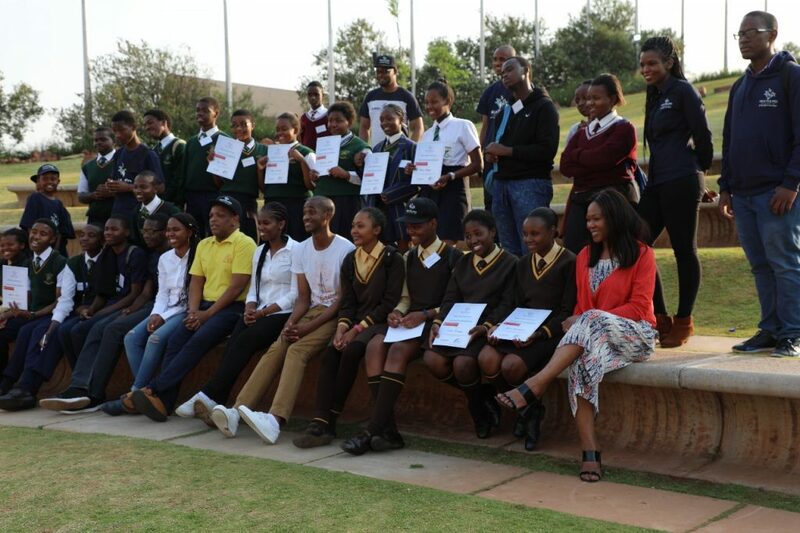 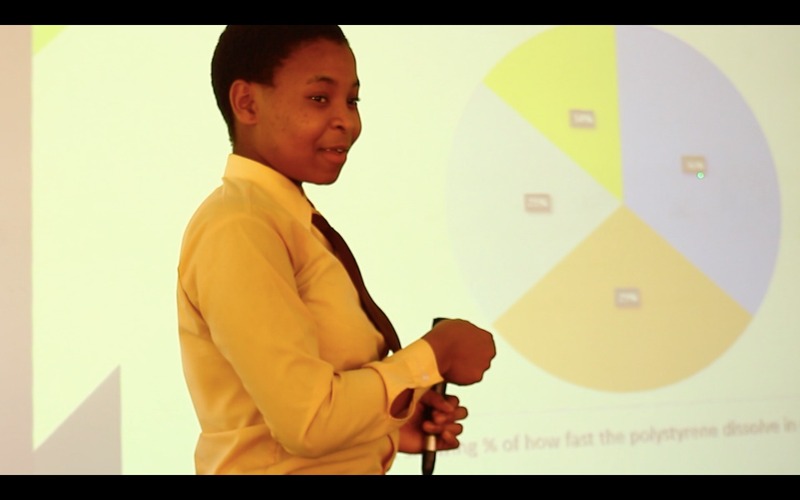 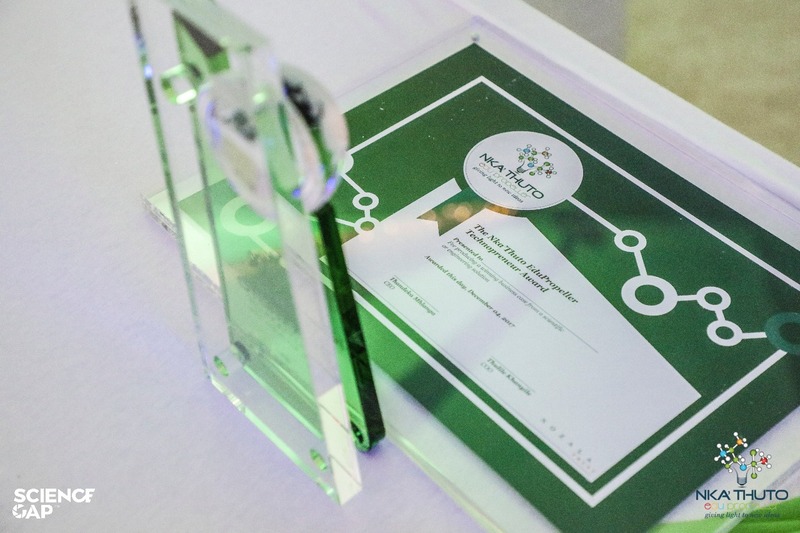 Learners then vote for the best presenter who received an educational prize. 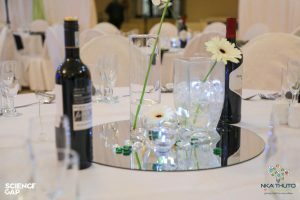 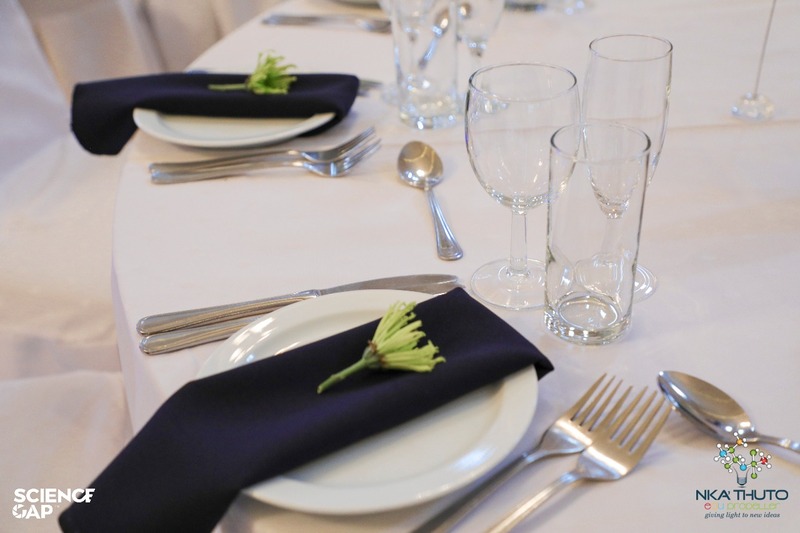 Our workshops are carried out in a problem-based manner. 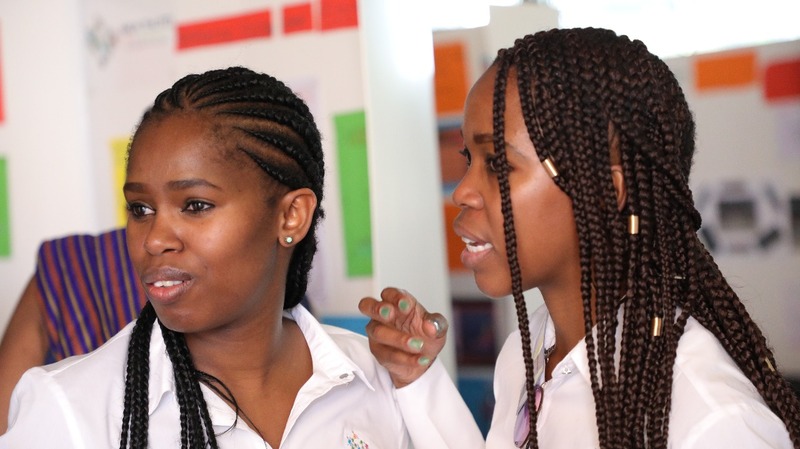 We encourage all learners to engage with one another in a safe space where it is understood that no one is incorrect but everyone should learn and be confident in themselves. 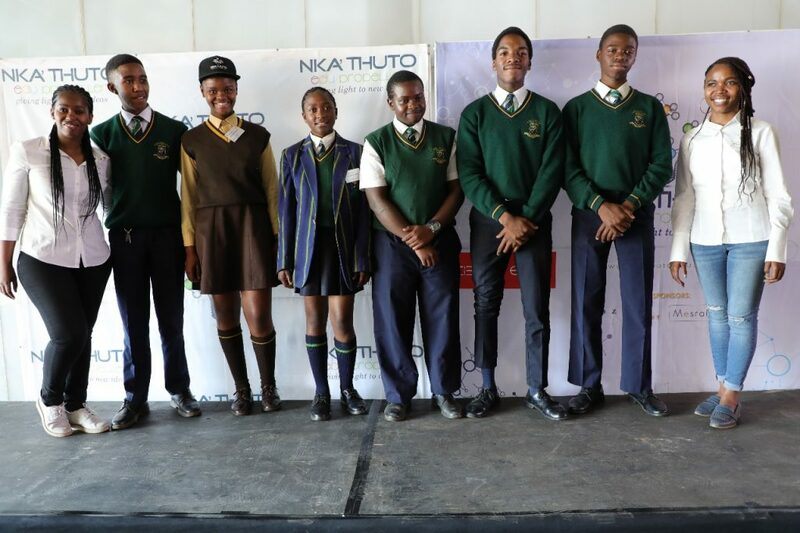 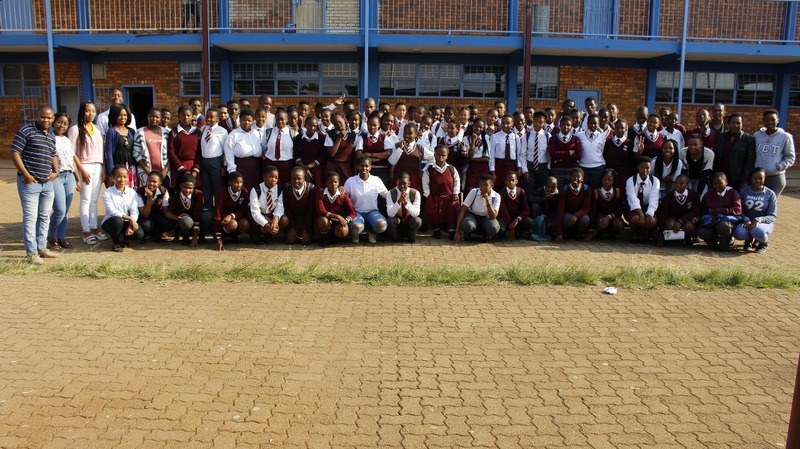 Nka’Thuto EduPropeller visits the learners in all the schools who will be taking part in the science expo. 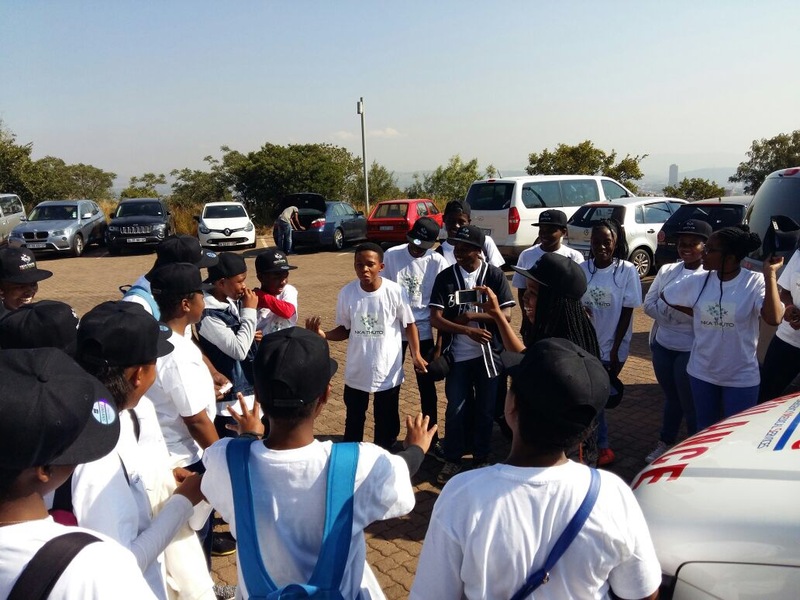 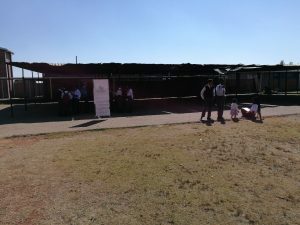 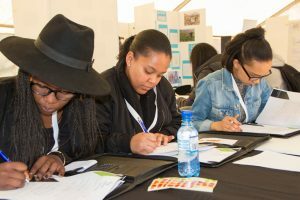 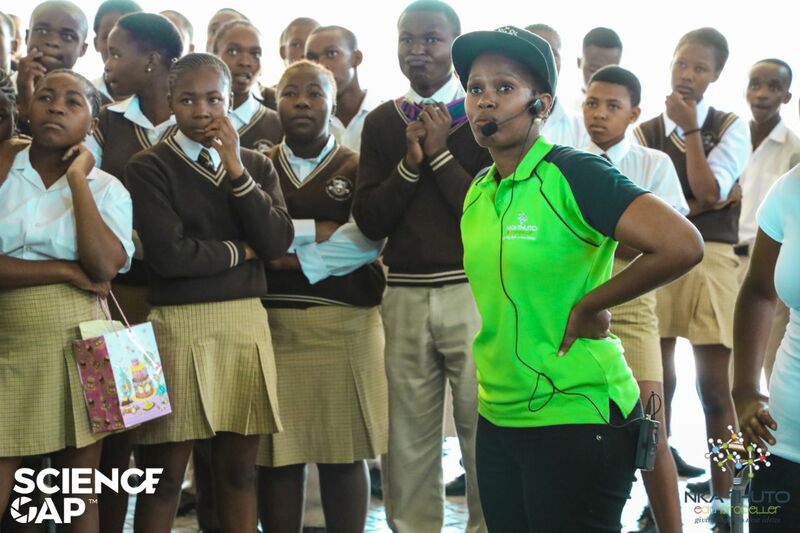 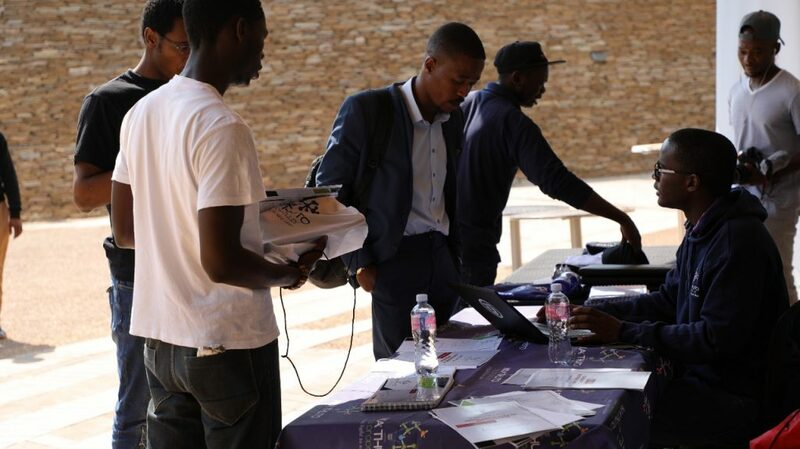 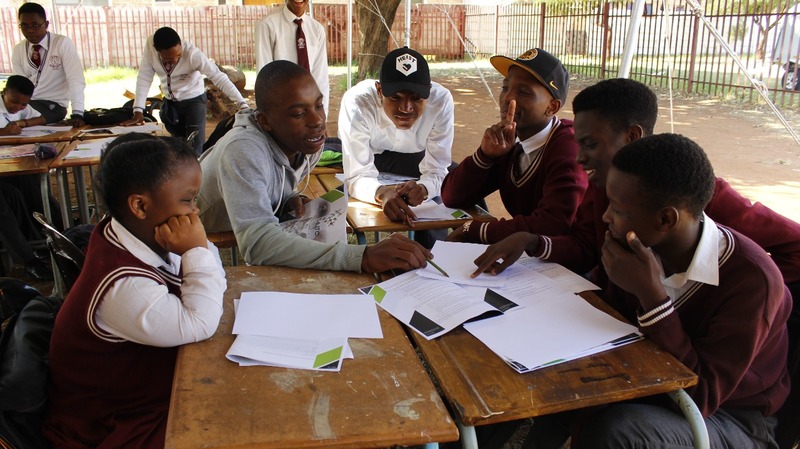 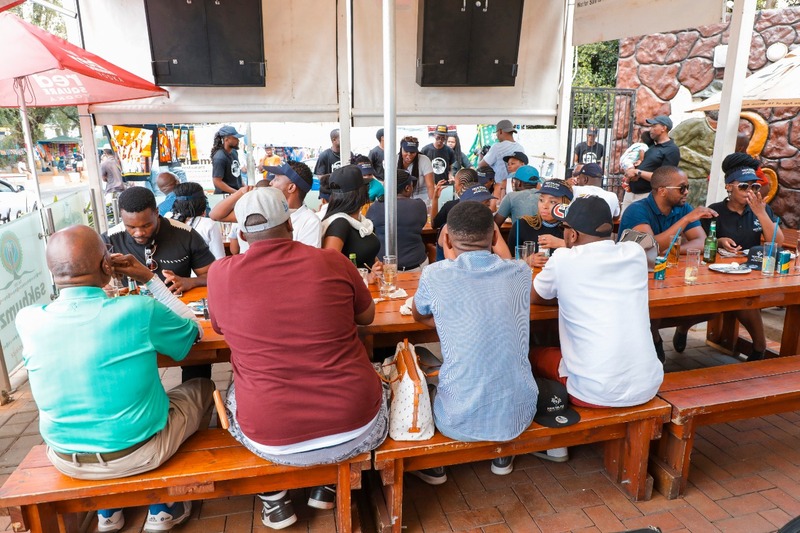 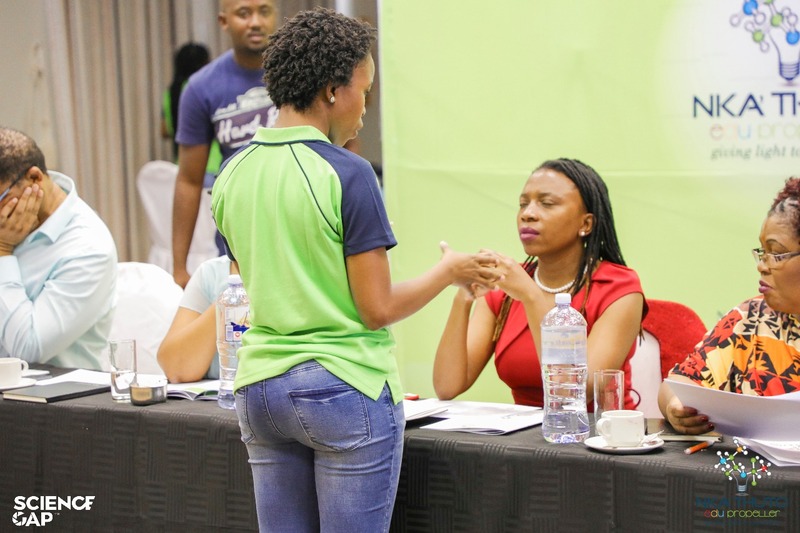 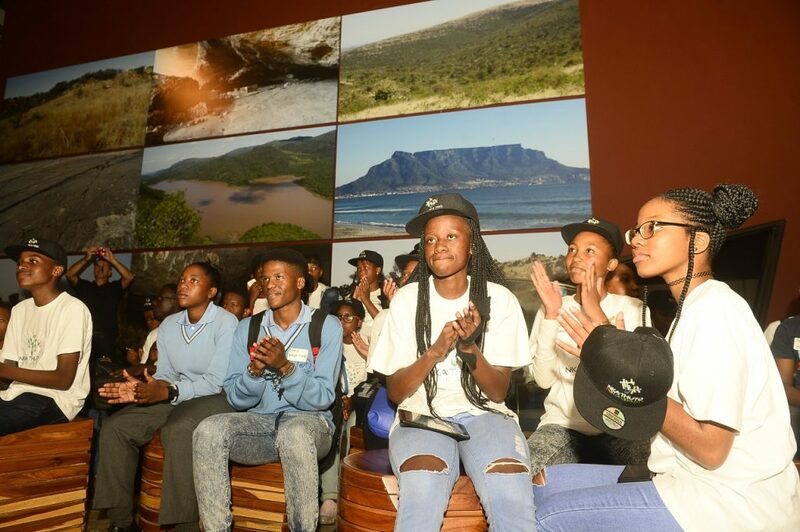 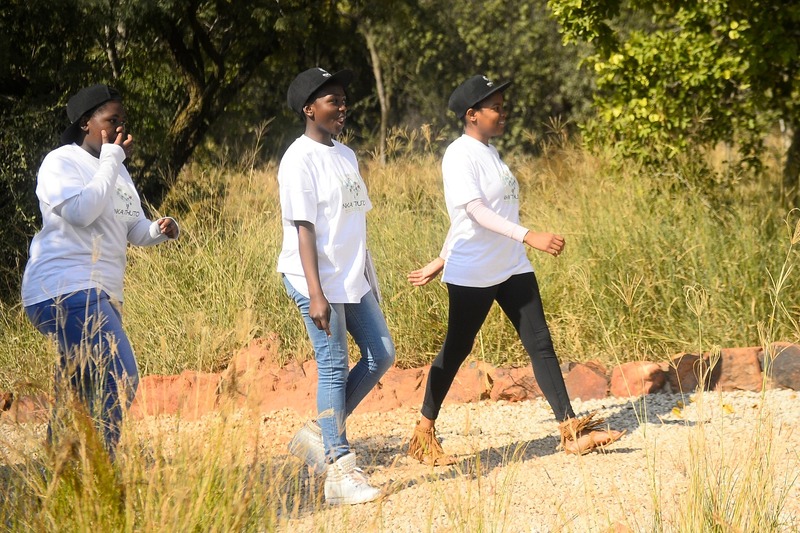 Activations occur after the workshops and before the science expo with the purpose to assist the learners with any challenges that they may be facing while doing their research. 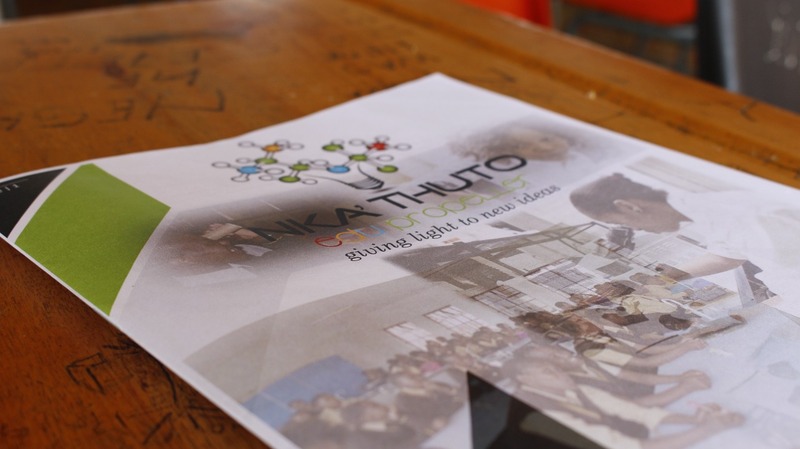 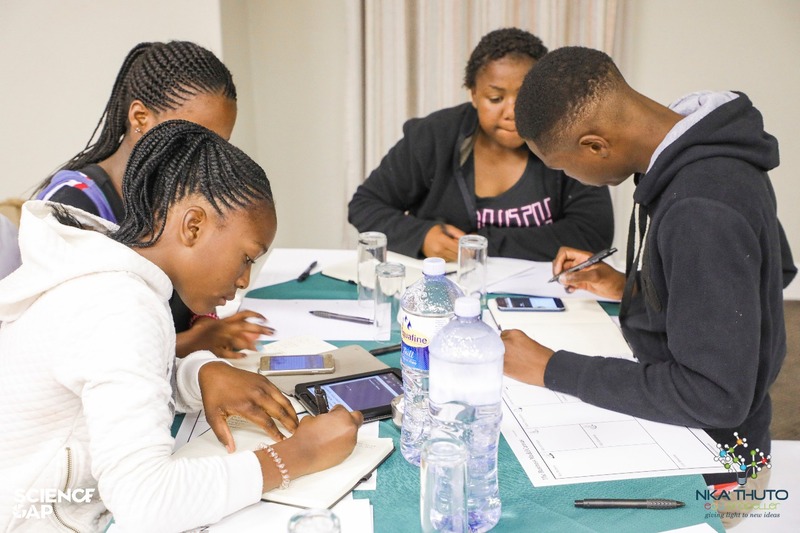 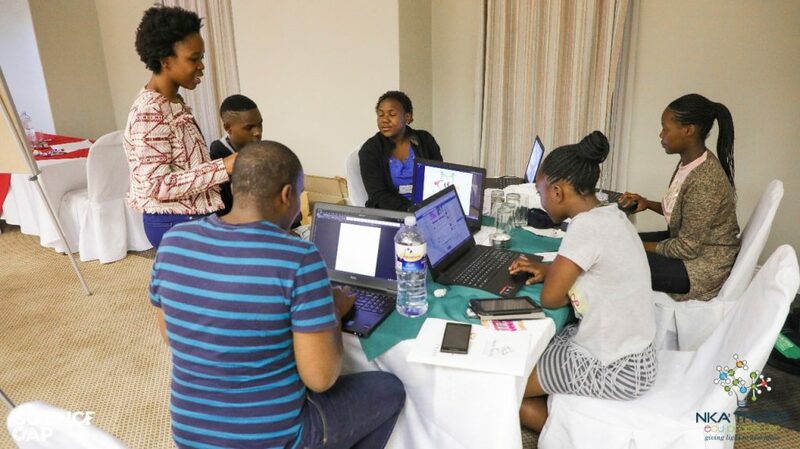 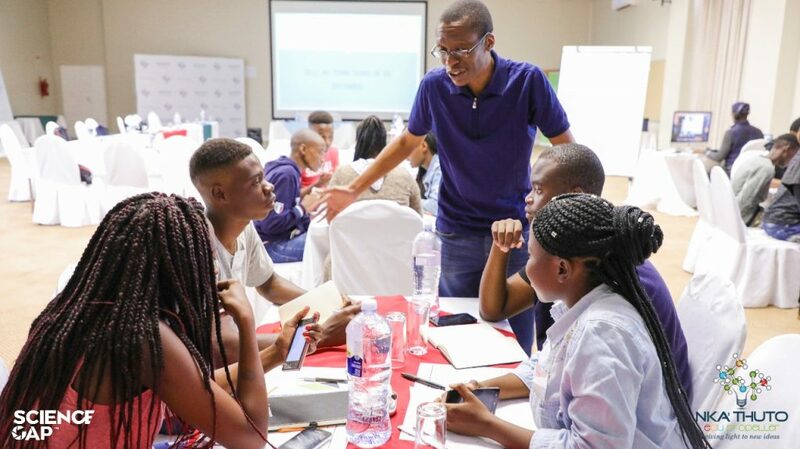 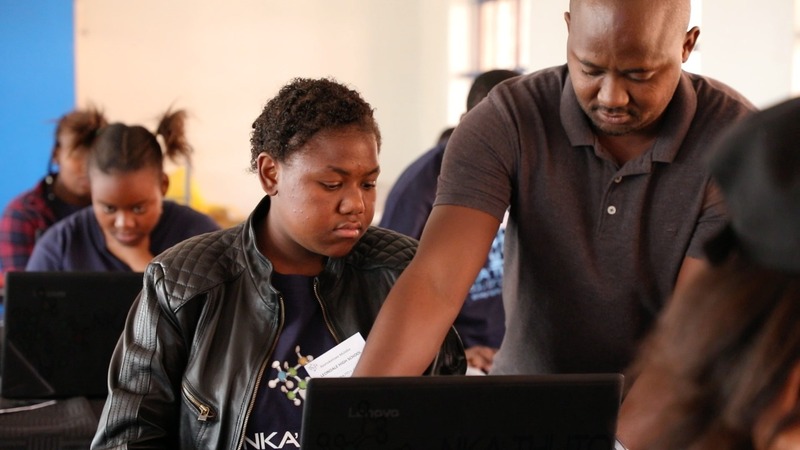 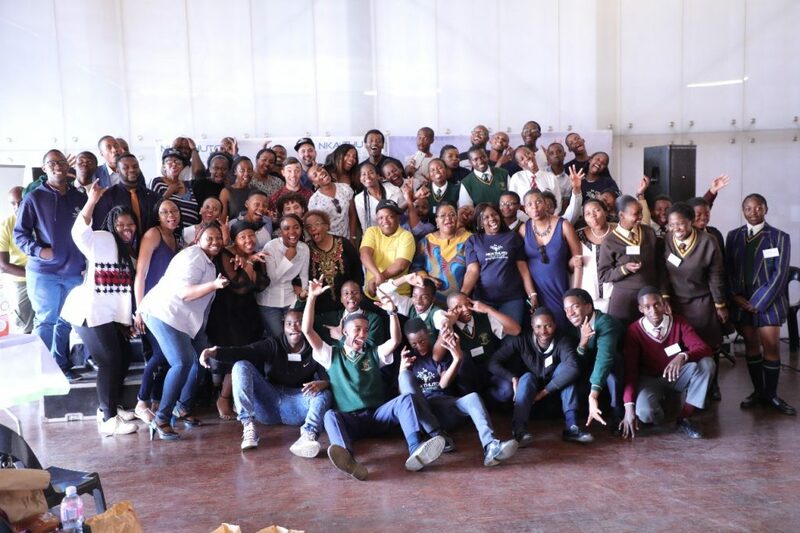 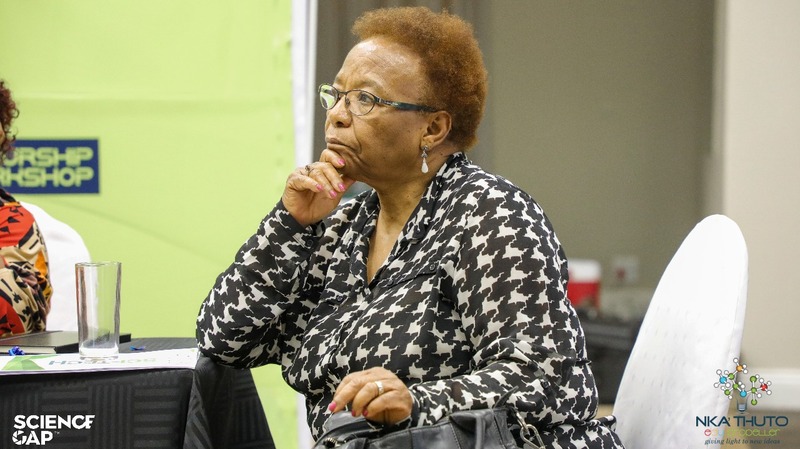 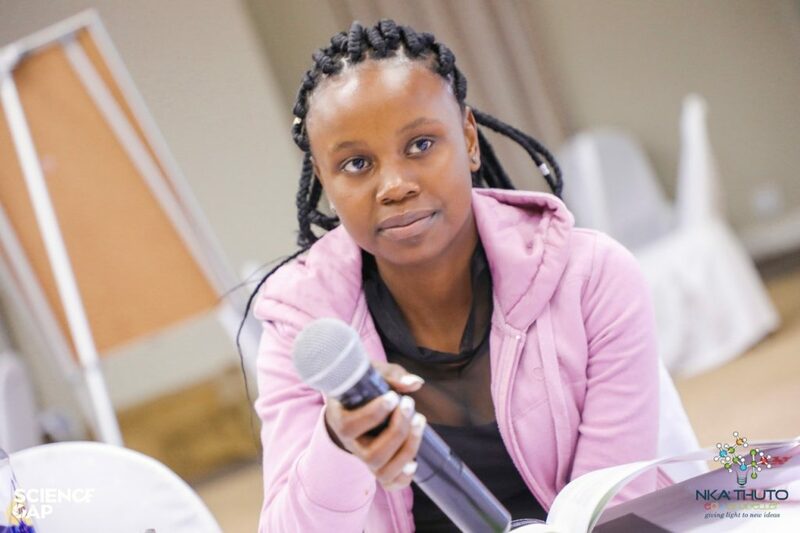 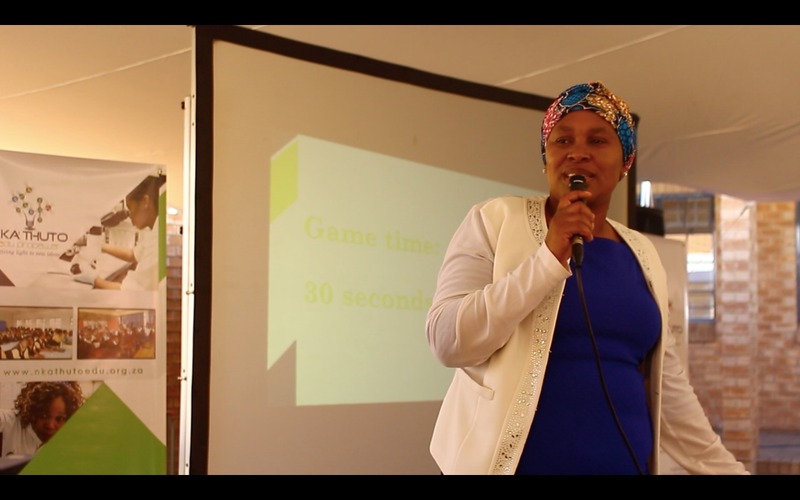 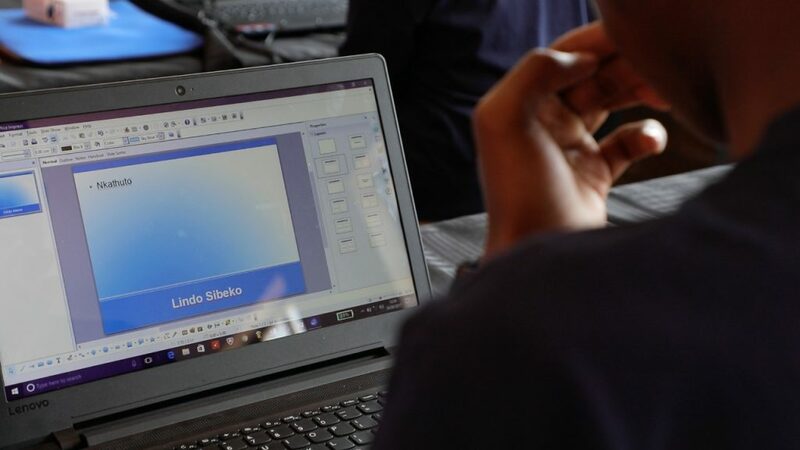 This process is very exciting for both the learners and the Nka’Thuto consultants because the learners and excited to share their innovation but the consultants are equally intrigued, for the first time in the whole process, by the innovative solutions that the learners are working on. Each learner gets one-on-one interaction with a consultant who listens, encourages and gives sound advice about the progression of the project. 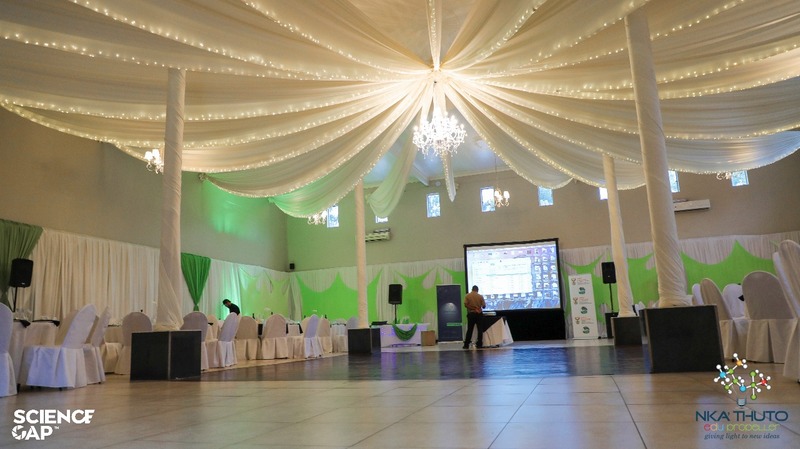 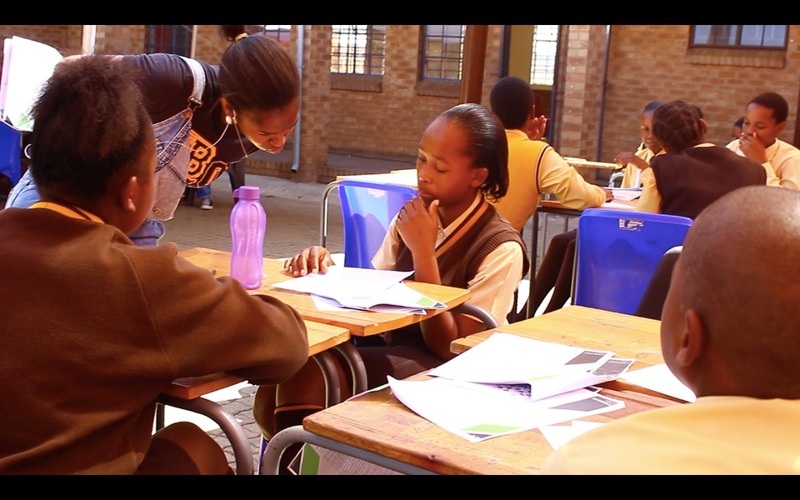 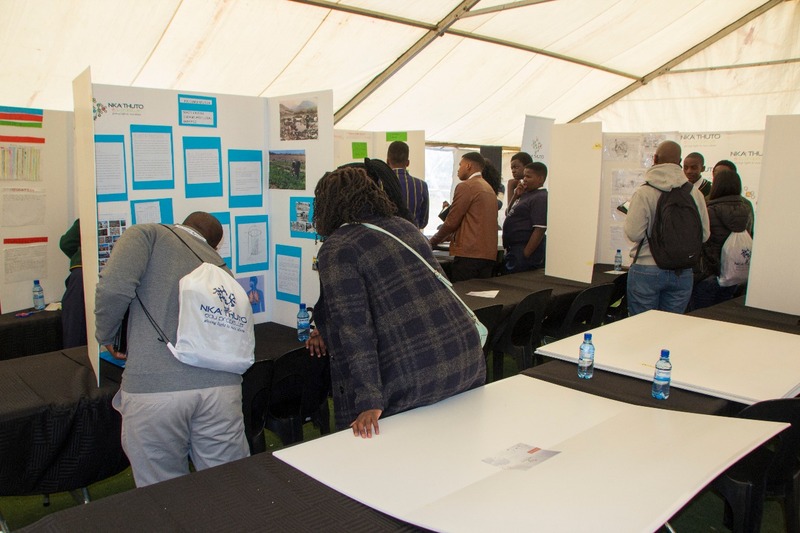 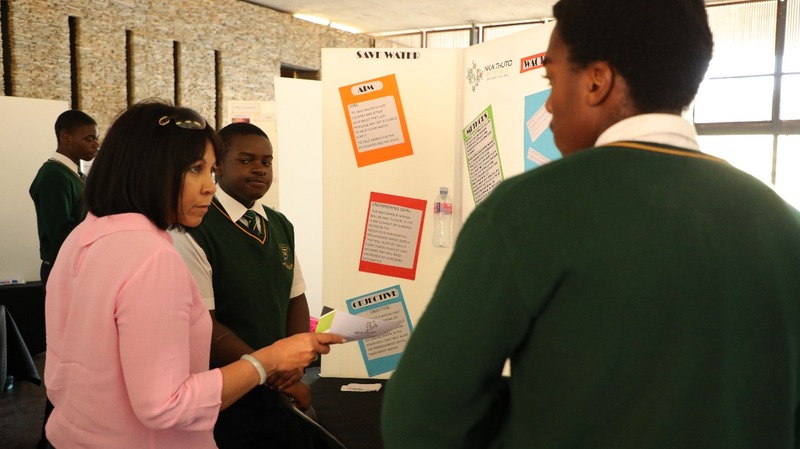 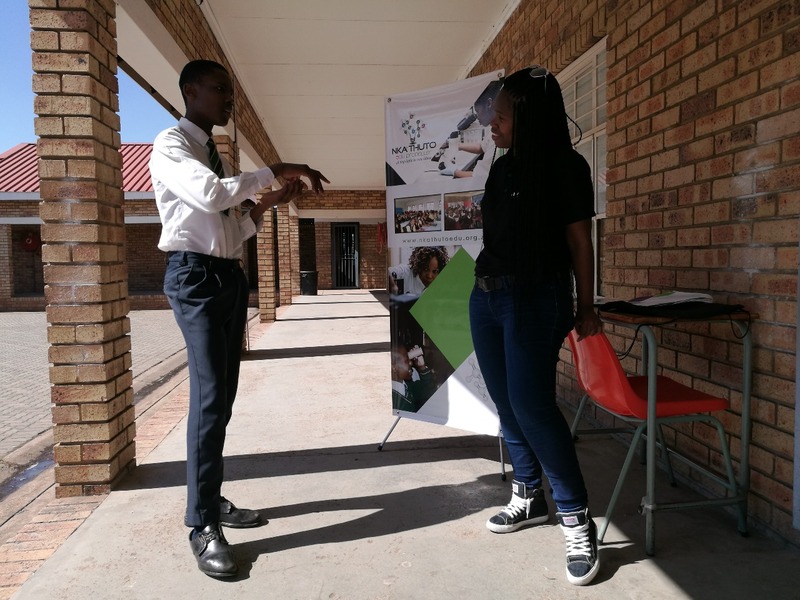 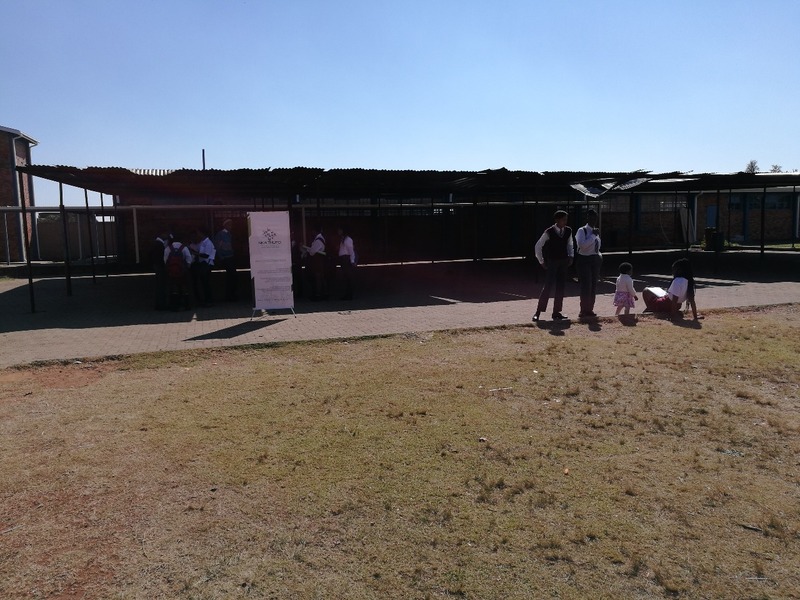 The consultation stage also serves the purpose of preparing the learners for the poster presentation that they will have to deliver at the science expo. 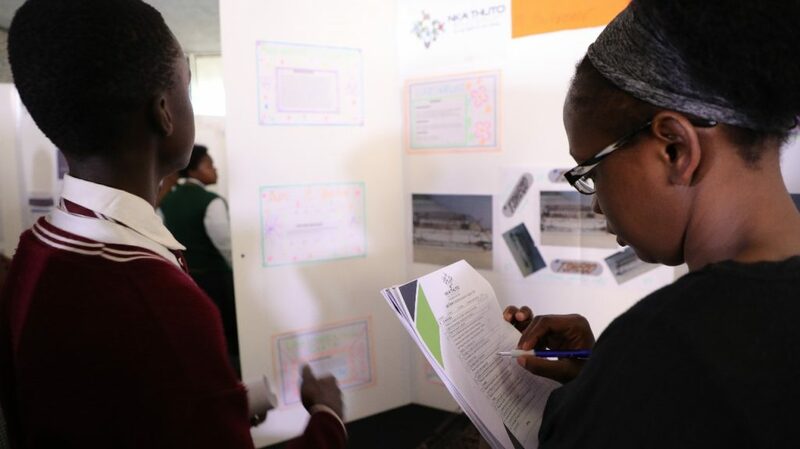 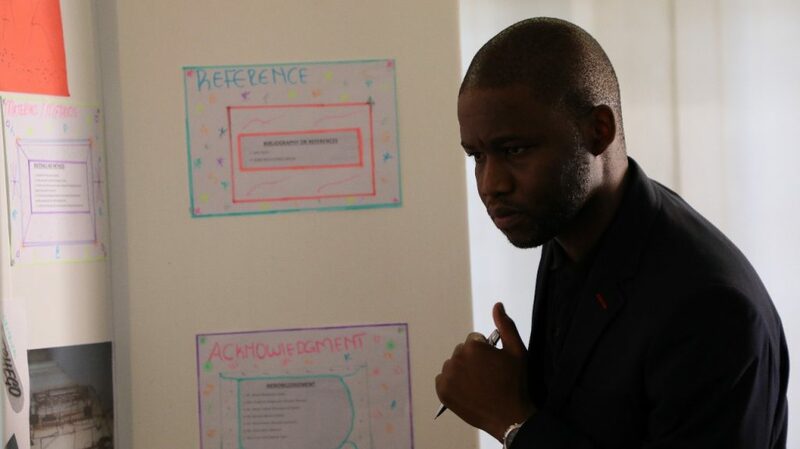 This is done by showing the learners a mock poster presentation that will serve as a guide to the learners. 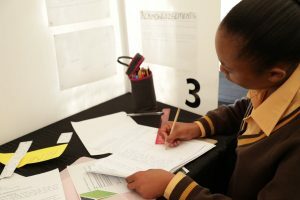 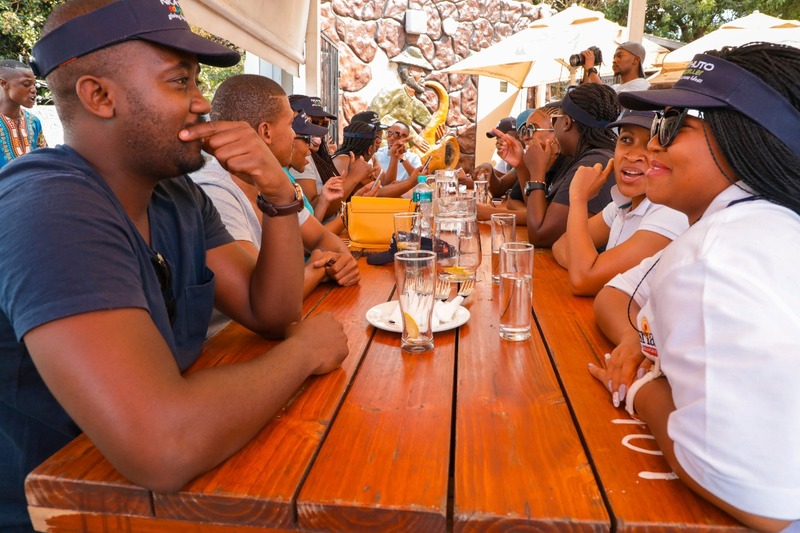 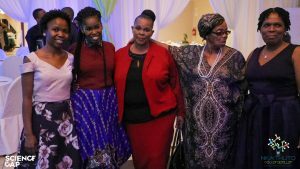 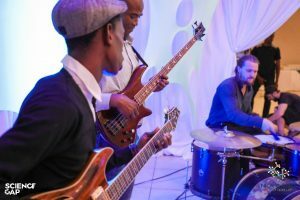 The idea behind this is to ensure that our learners have as much support as possible. 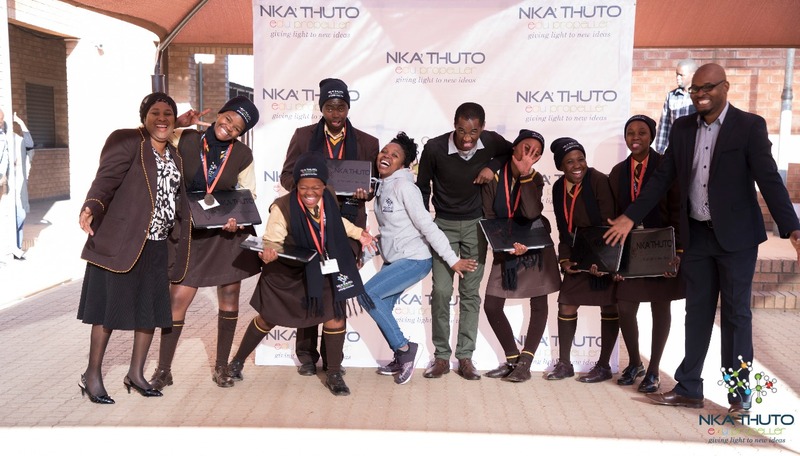 We do not want our learners to be left wanting or wondering at any stage of the programme.